Shanghai Linkrun International Trading Co,.ltd mainly produces metal wire mesh, Garden metal wire house, construction warning guardrail. 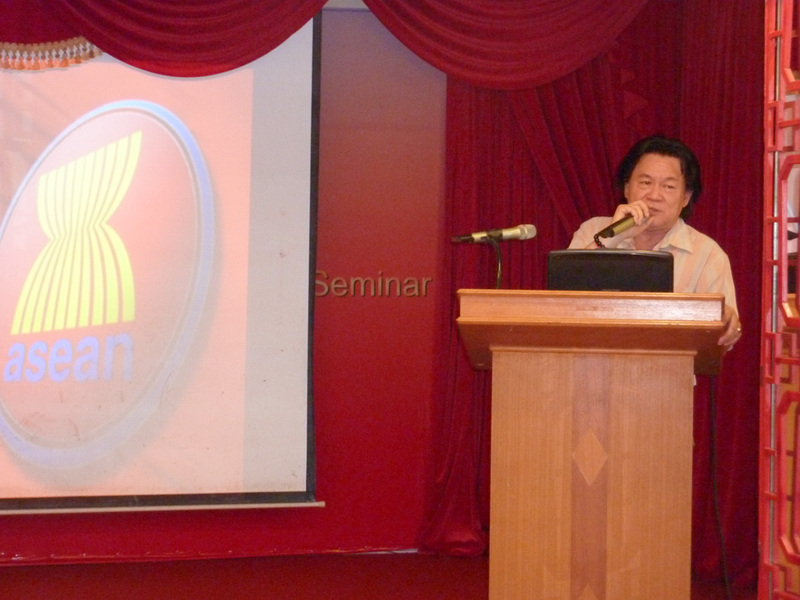 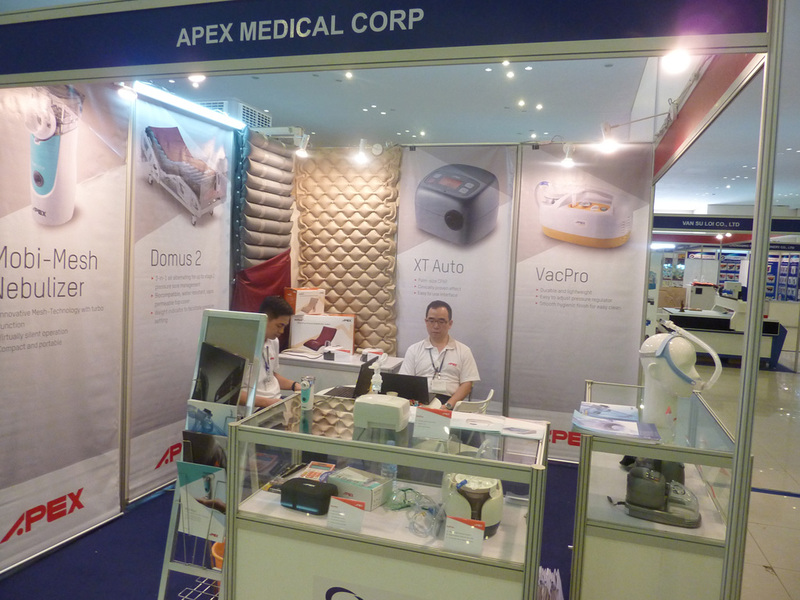 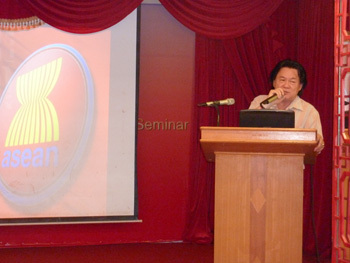 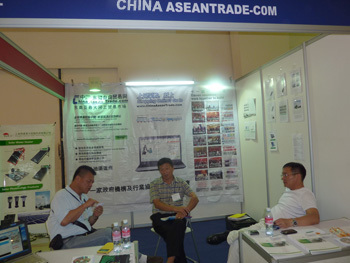 His products are hugely required in Malaysia, Singapore, he wants to expand the products in Cambodia. Mr.Zhu is talking with Central Enterprises introduced by the Chamber of Commerce. 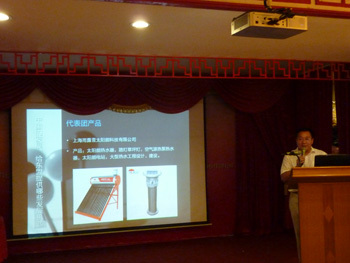 The infastructure of the highly technological park needs Mr.Zhu's Solar lights and generating system. 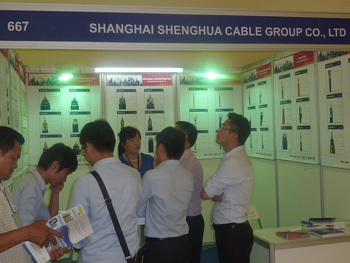 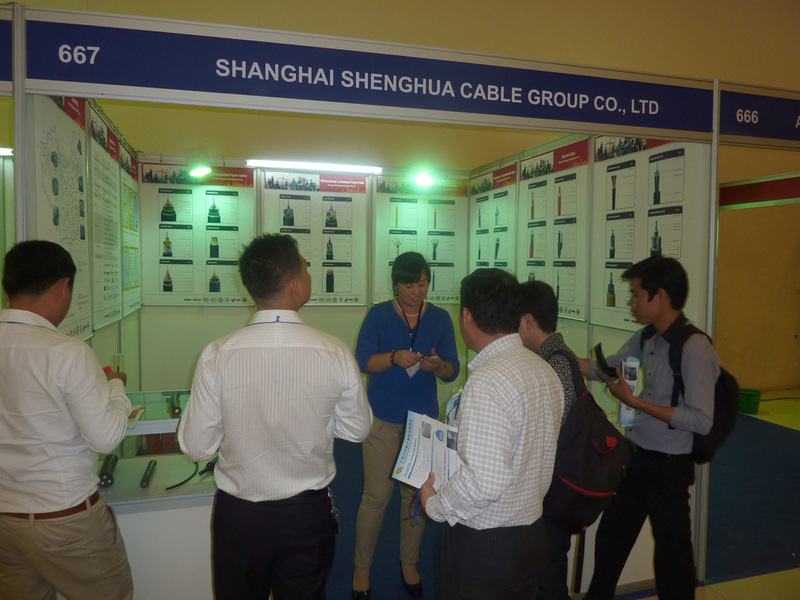 There are a large amounts of people standing before the stand of Shanghai Shenghua Cable Group Co.,ltd. 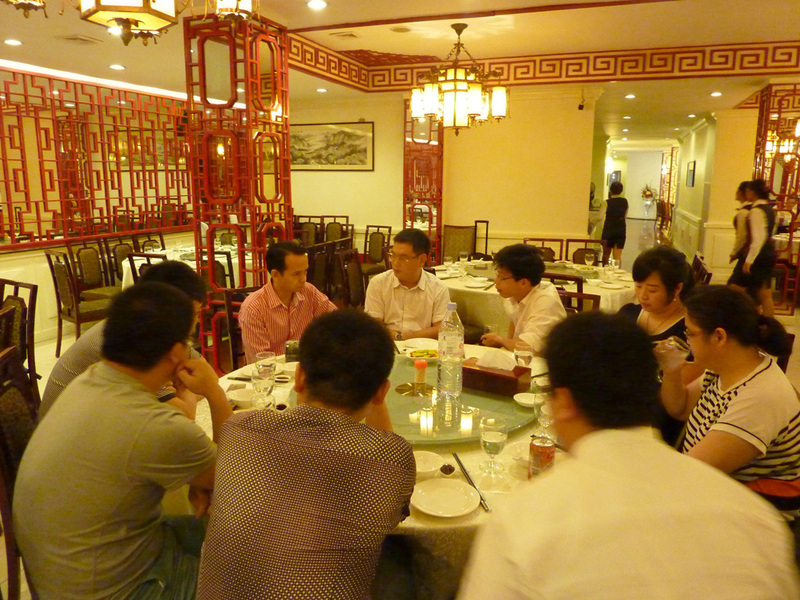 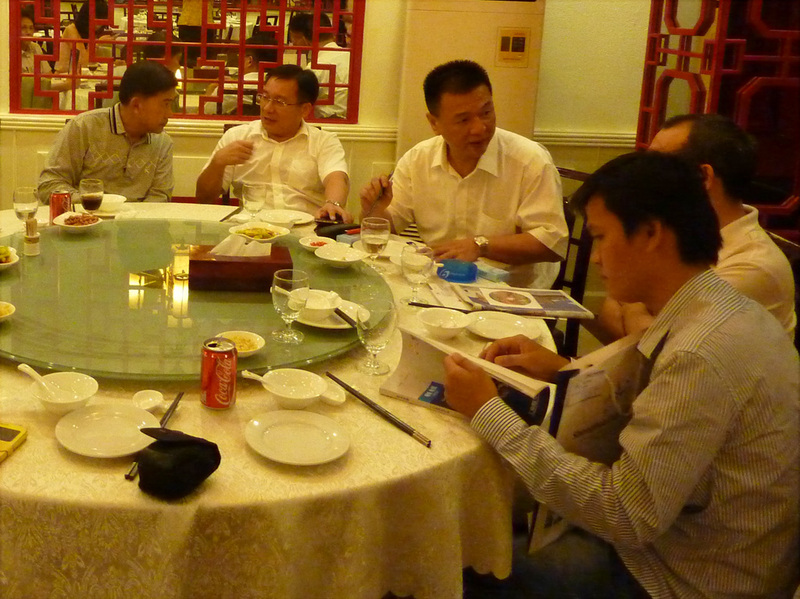 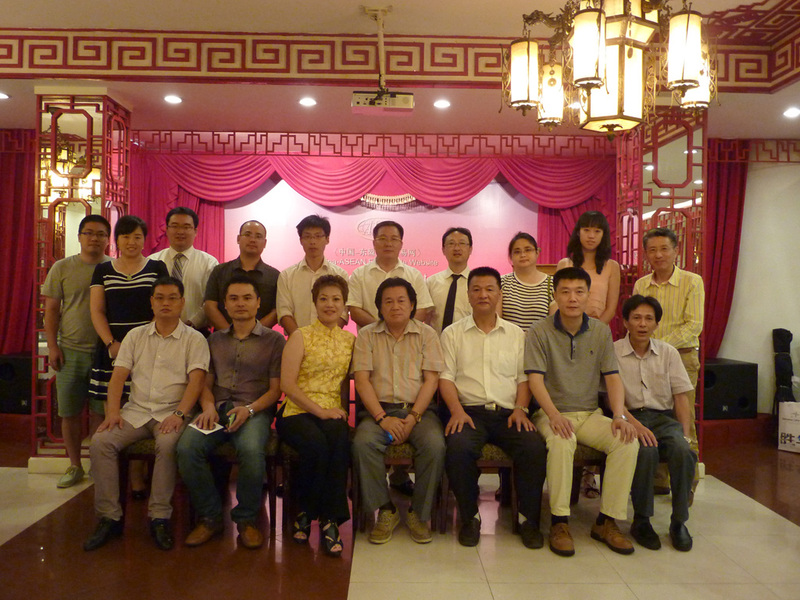 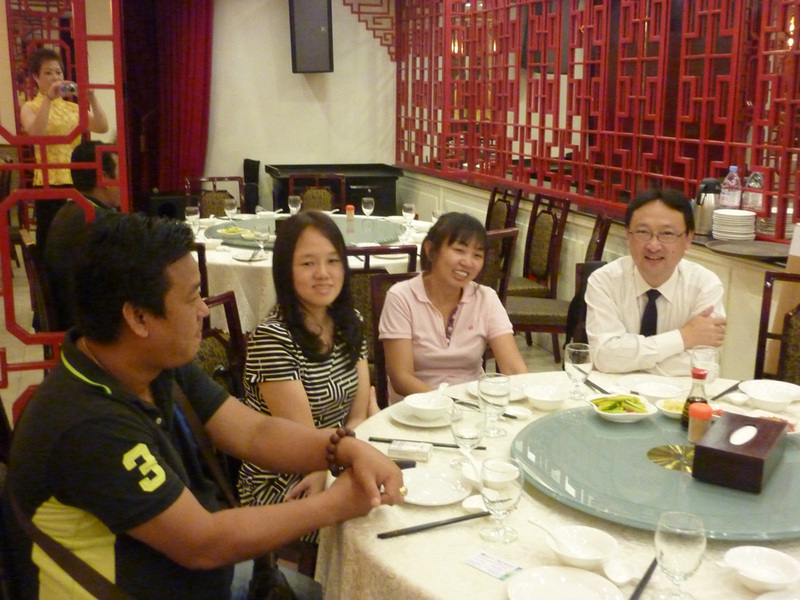 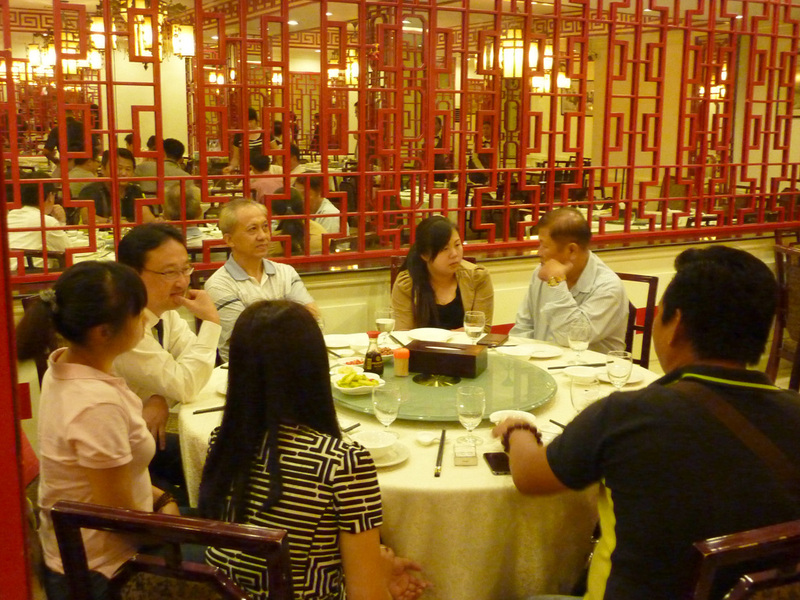 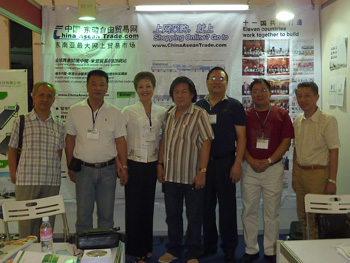 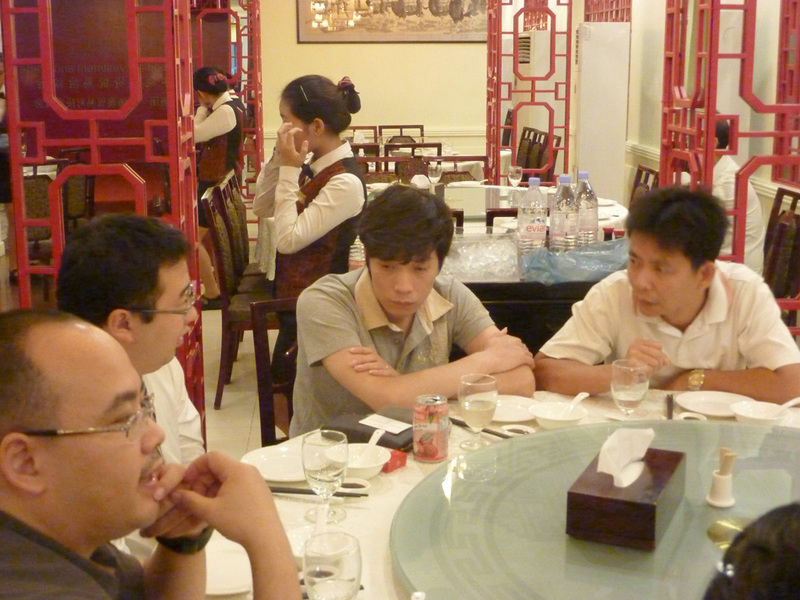 Mrs.Zhao met with another distributors. 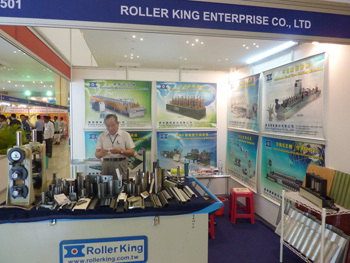 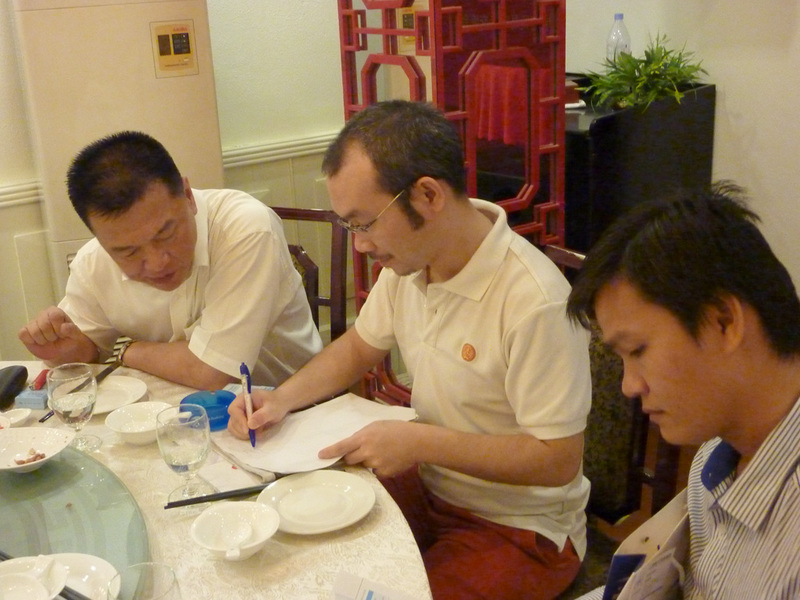 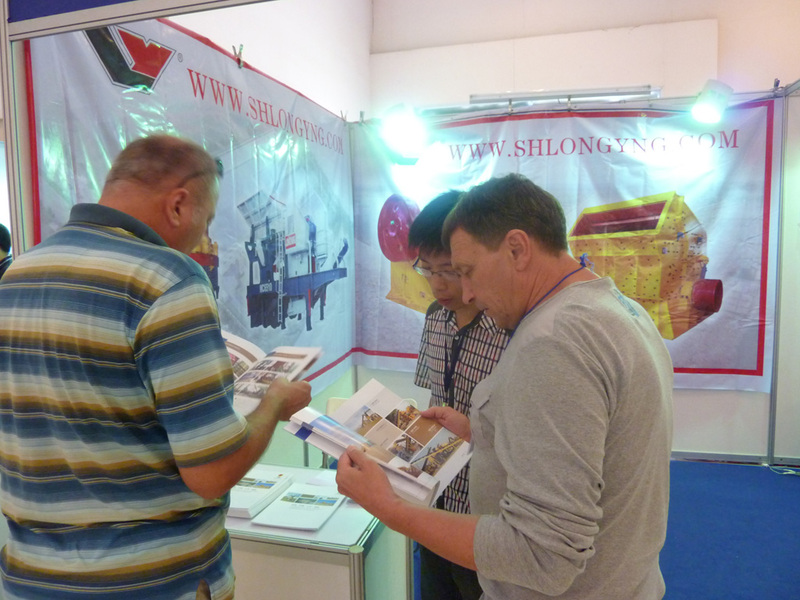 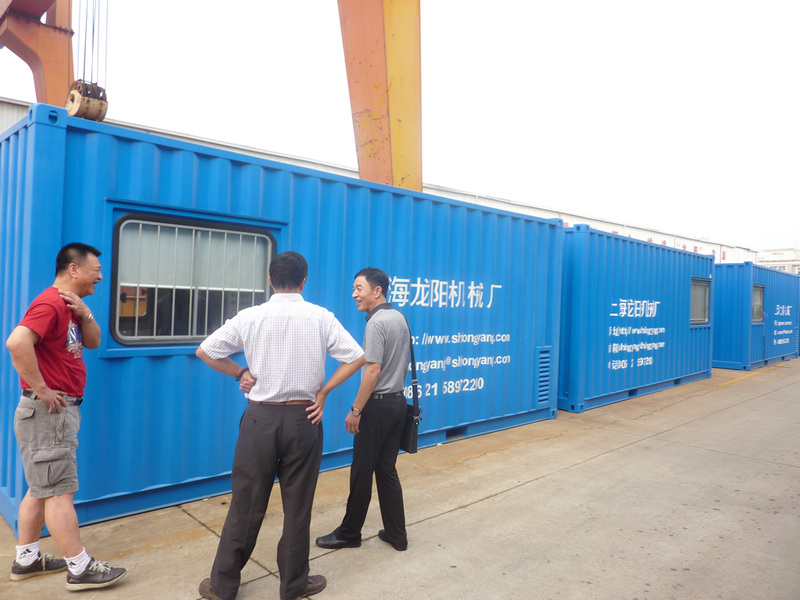 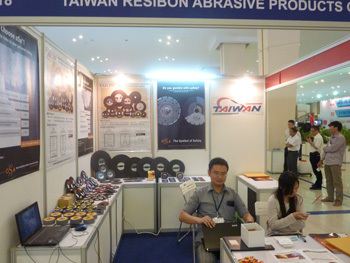 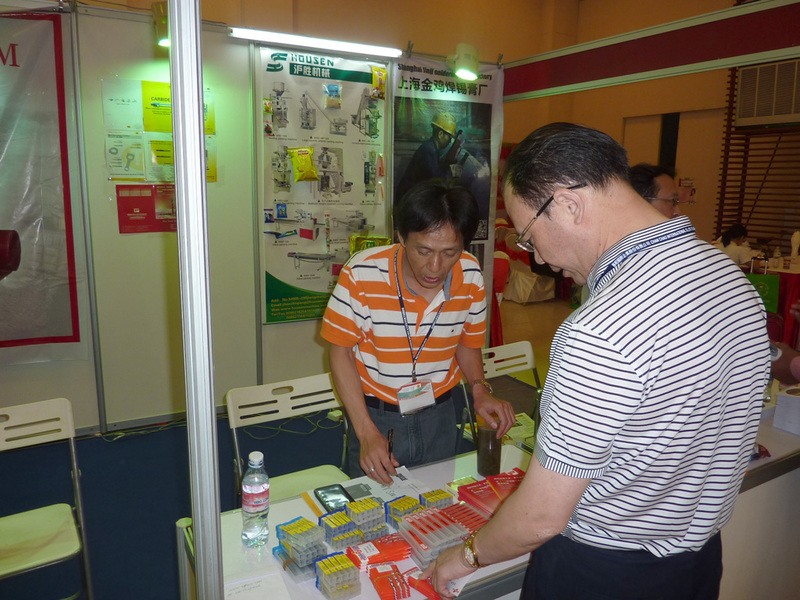 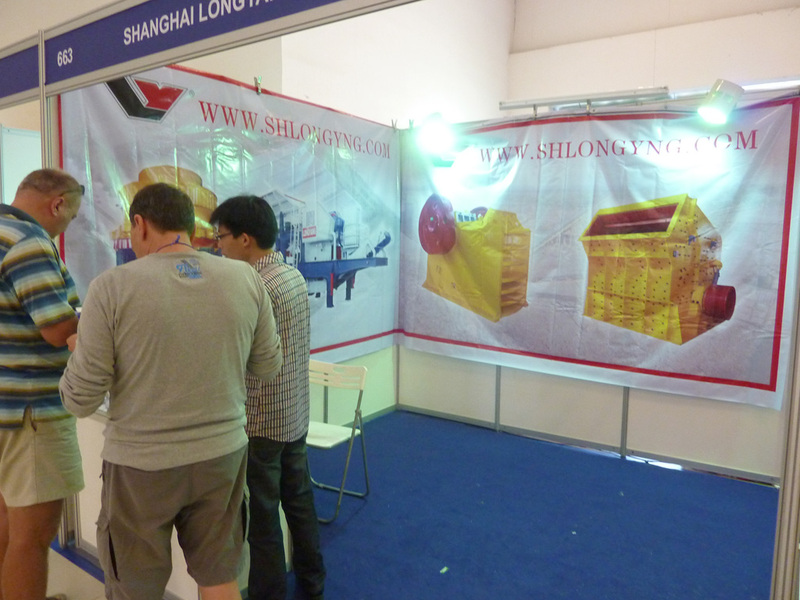 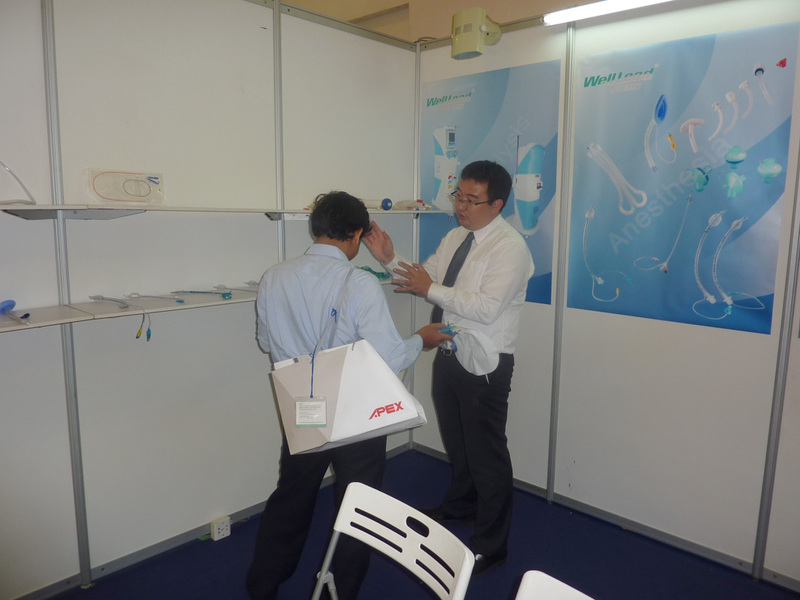 Mr.Sheng, manager of Shanghai Taifeng cutter also got the orders at his first time coming to the exhibition. 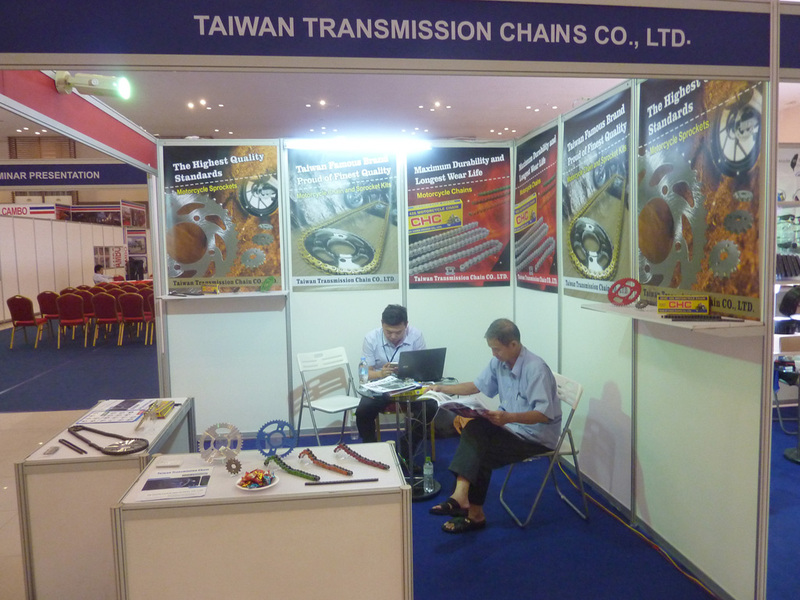 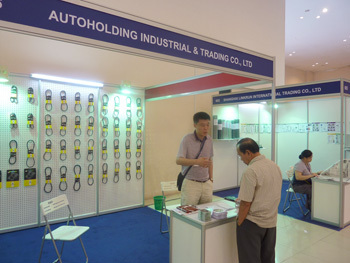 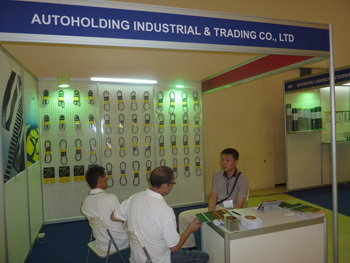 Belt for vehicle of Autoholding Industral& Trading Co,.ltd attracted large amounts of buyers. 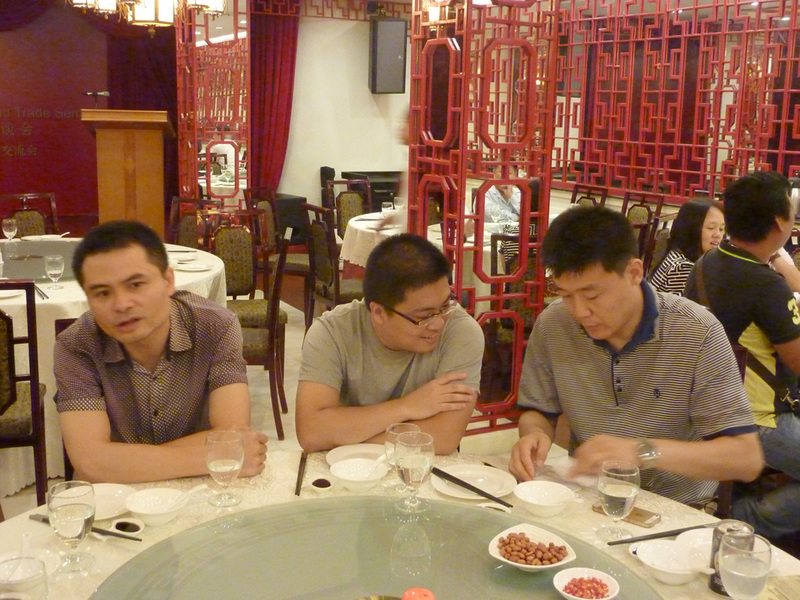 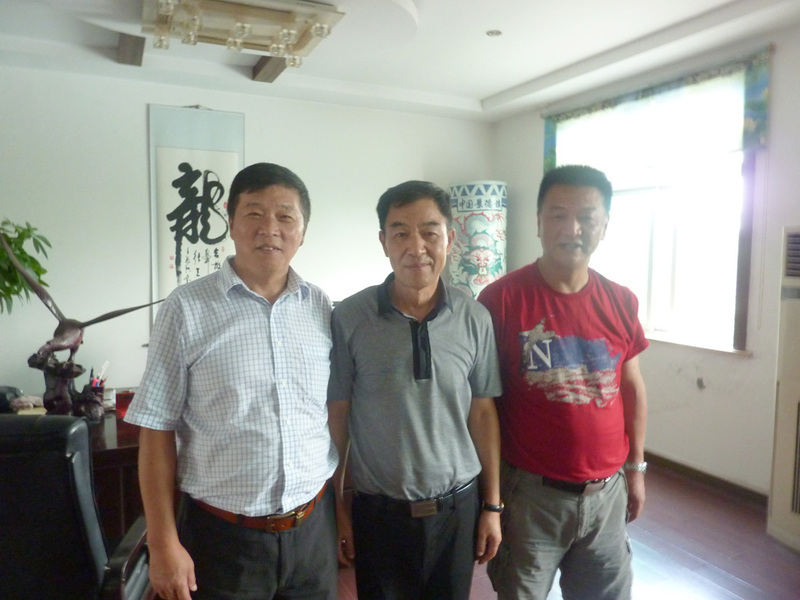 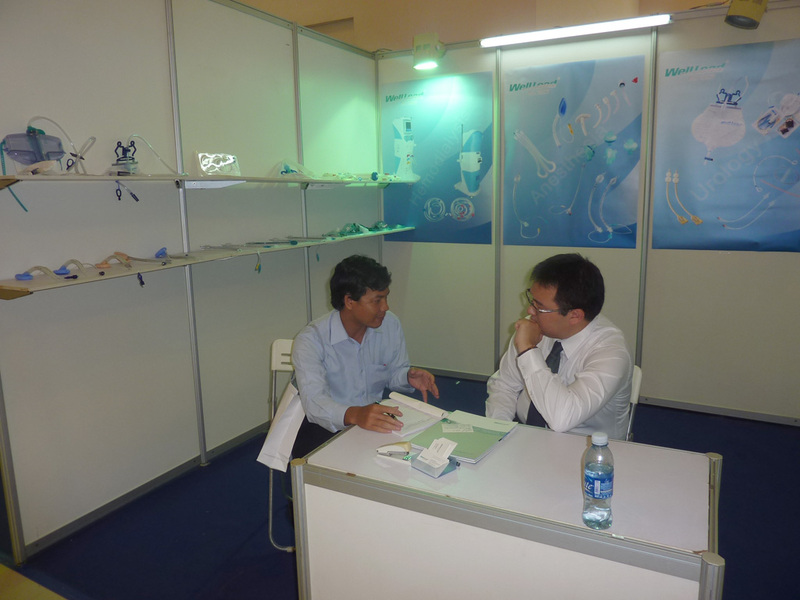 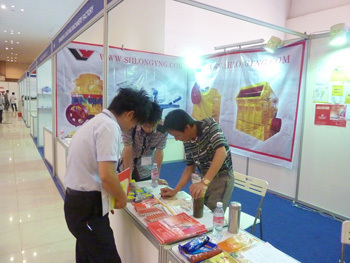 Mr.Zhang talked with two buyers. Mr.Zhao, the general manager of Shanghai Husheng industrial co,.ltd, achieved great success to attract a large number of customers, which was his first visit to the exhibition. Mr.zhao didn't bring his notebook but with three papers writting fully on buyers' names. 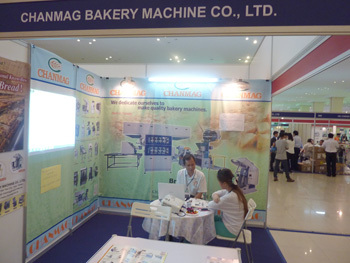 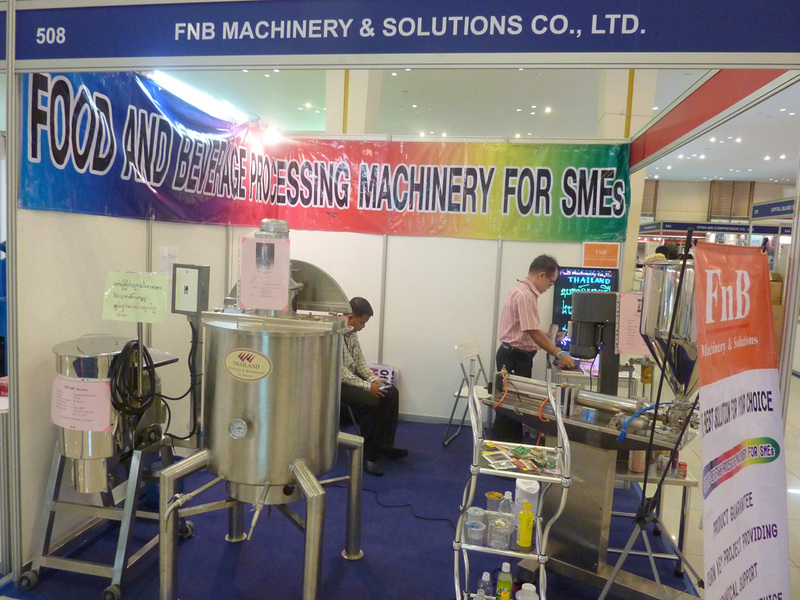 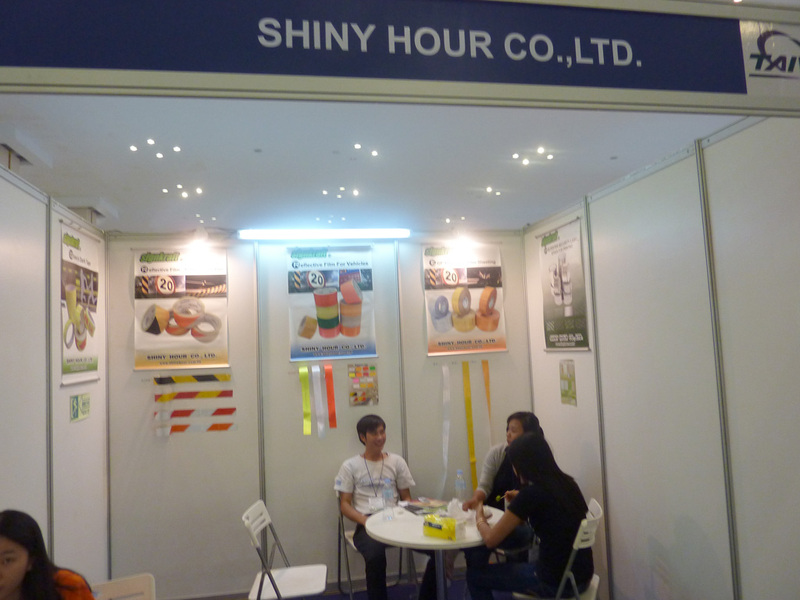 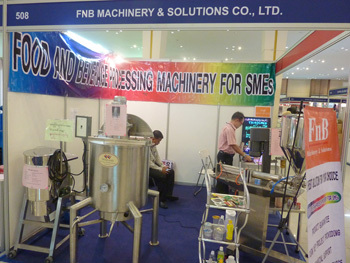 Food&beverage of FNB Machinery&Solutions Co.,ltd from Thailand. 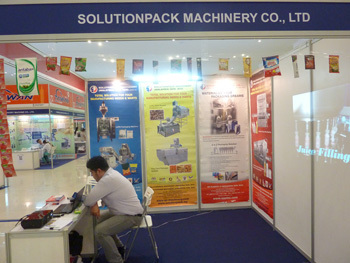 Food packing machine of Solutionpack machinery co.,ltd from Malaysia. 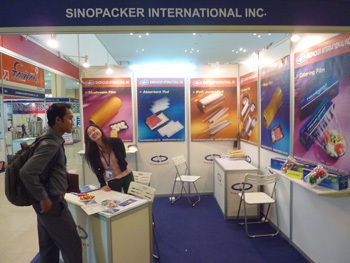 The plastic film mulching of Sinopacker international INC from Taiwan. 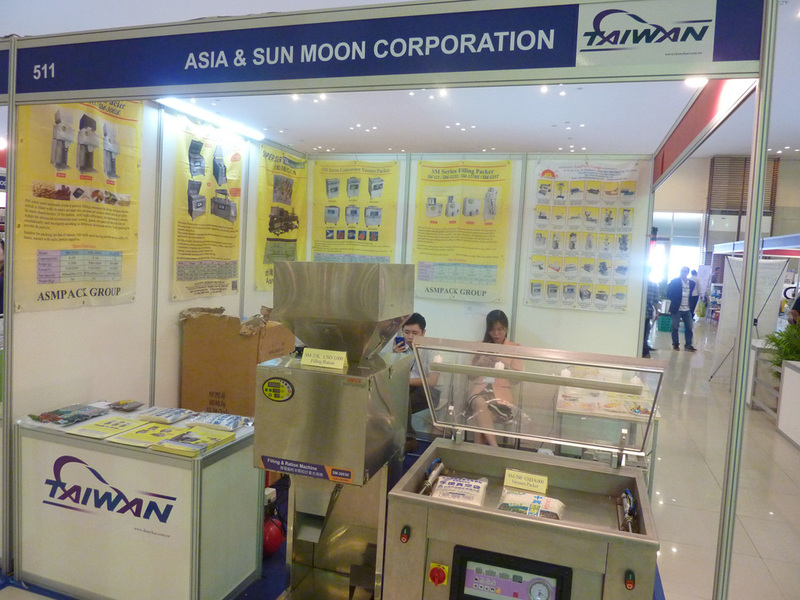 Packing machine of Asia&Sun Moon Corporation from Taiwan. 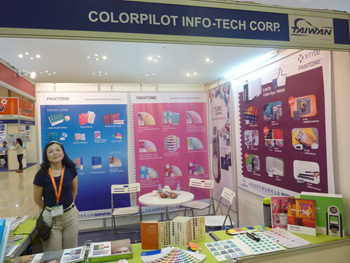 Color measurement instrument of Colorpilot Info-Tech Corp from Taiwan. 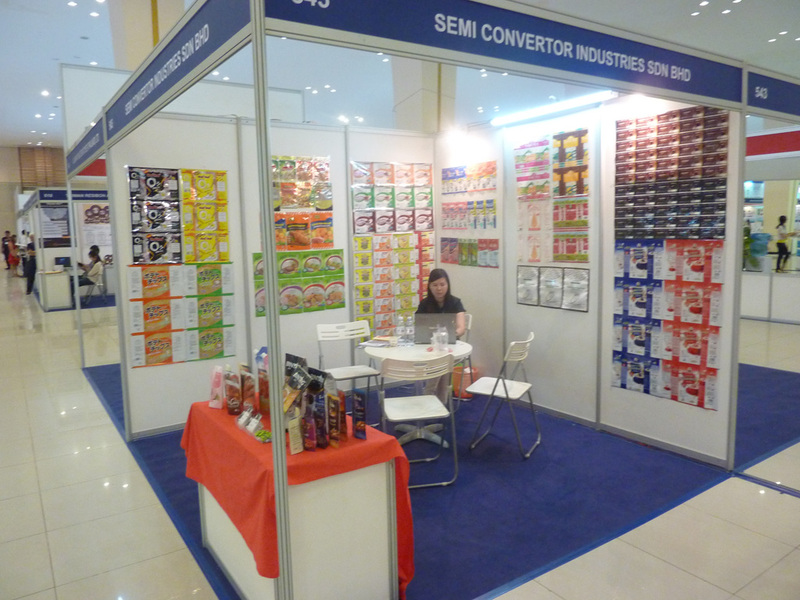 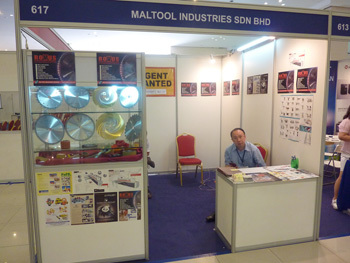 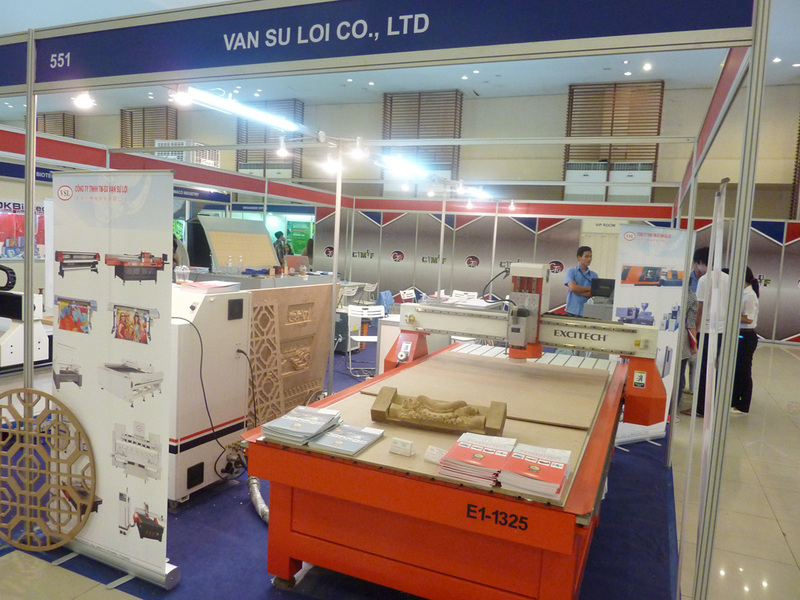 Multi-colour printing and plastic packing of Semi convertor industries Sdn Bhd from Malaysia. 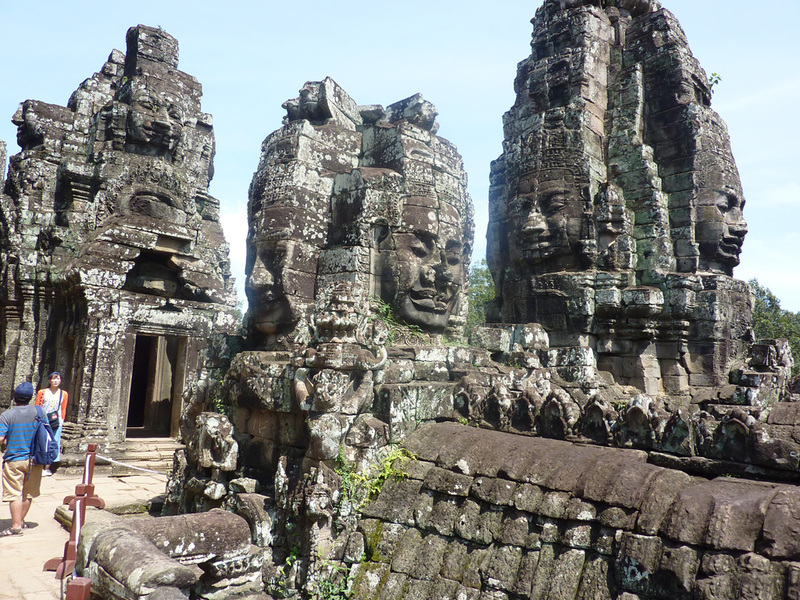 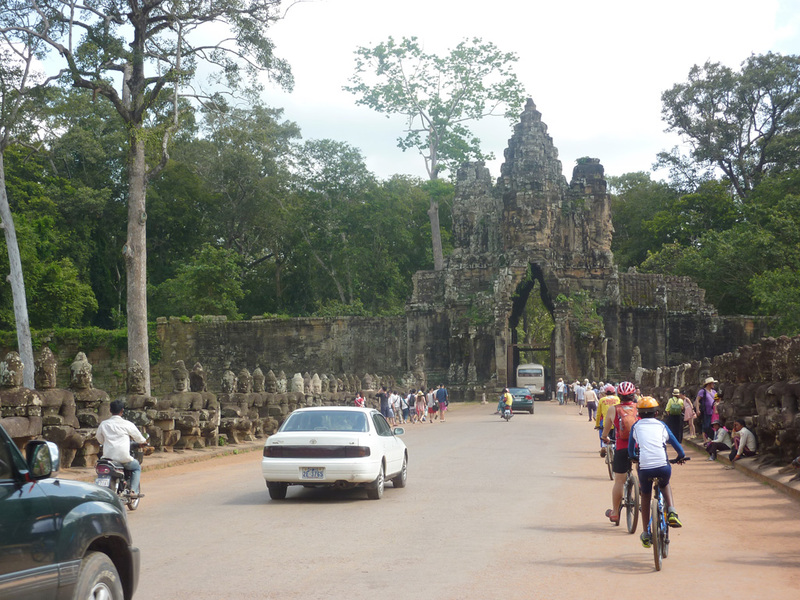 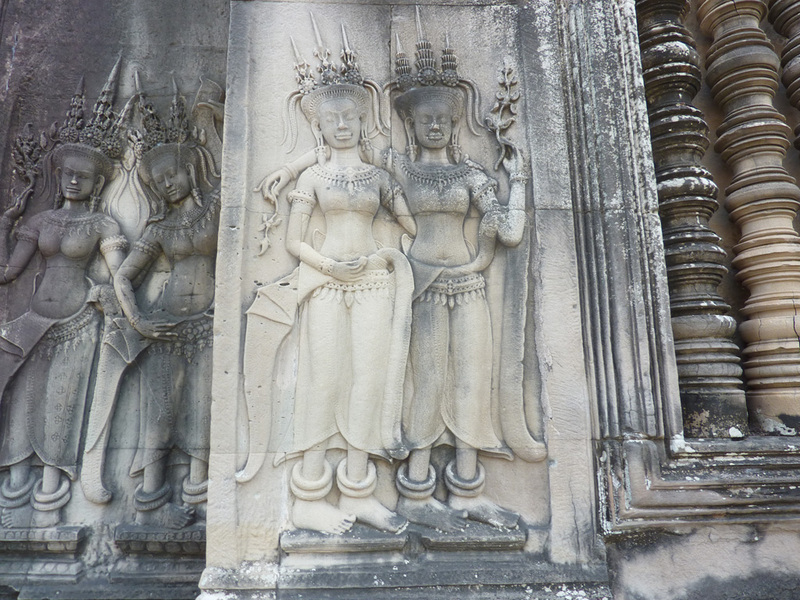 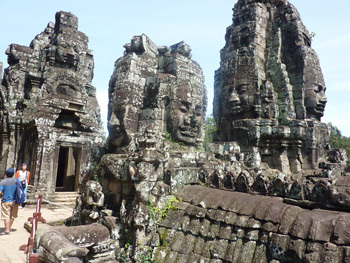 Shanghai Weili medical recived 5 distributors, one of which listed Number two in Cambodia's medical enterprises, rejected the tour of Angkor Wat. 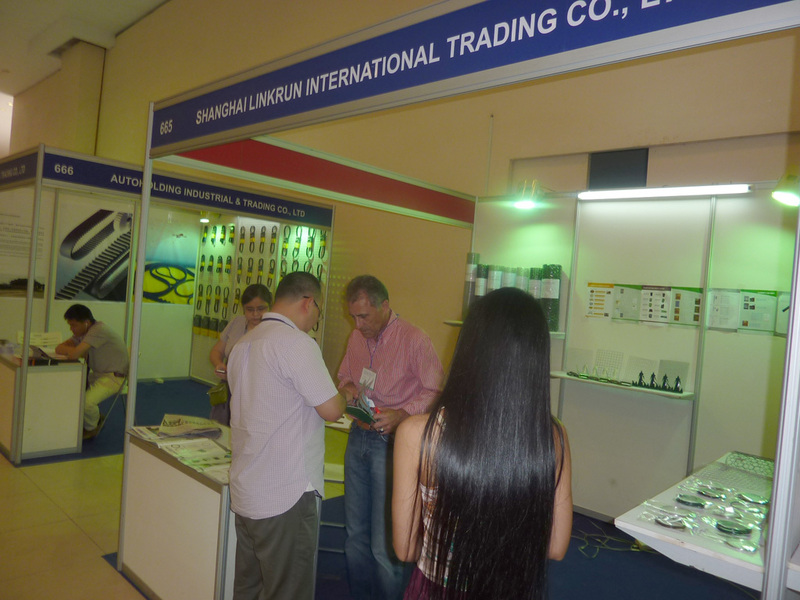 He said the price is lower in the competitive European market while the price is much higher in the pooerer countries, he achieved great success in Cambodian market. The leader of the website received the report of the Cambodian newspaper. 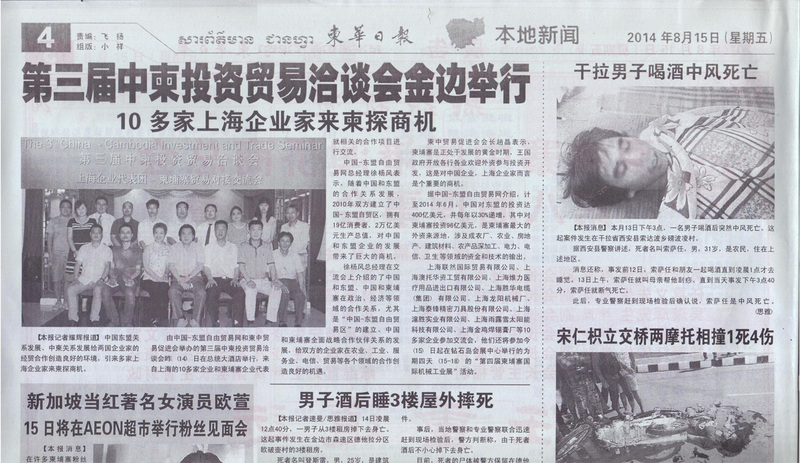 The combodian reporter asked the benefits of bring out. 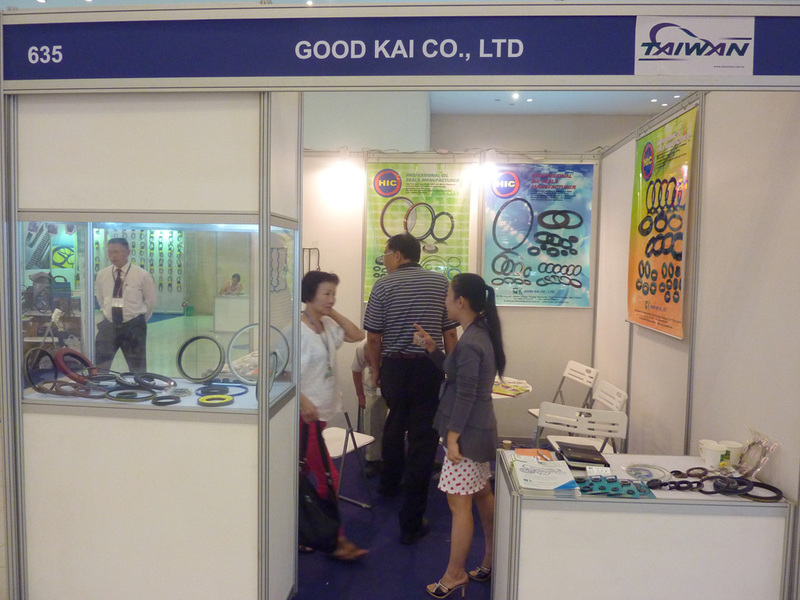 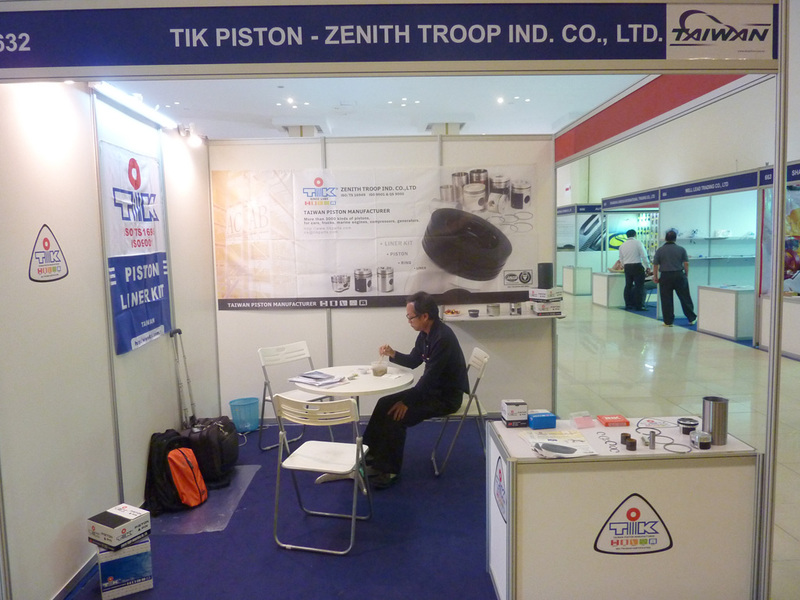 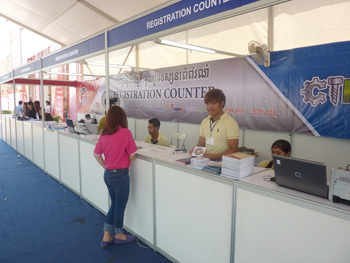 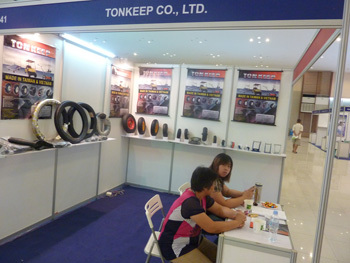 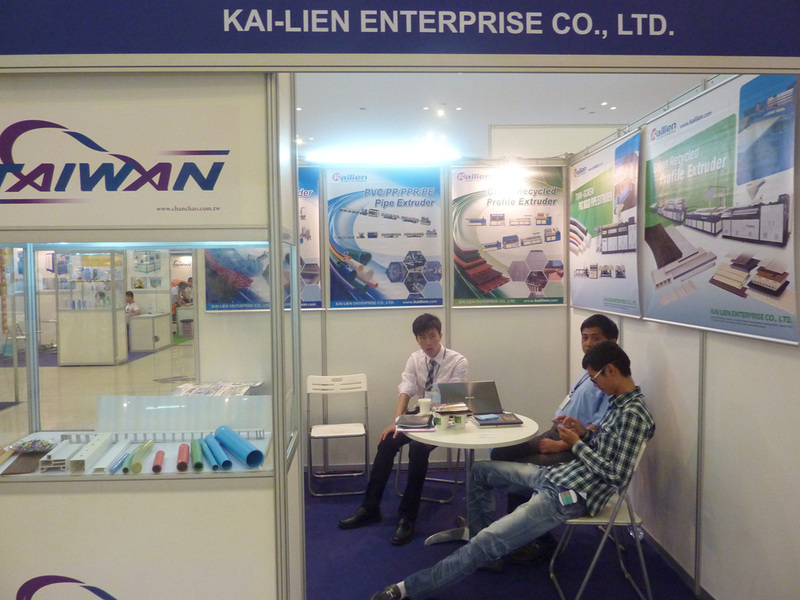 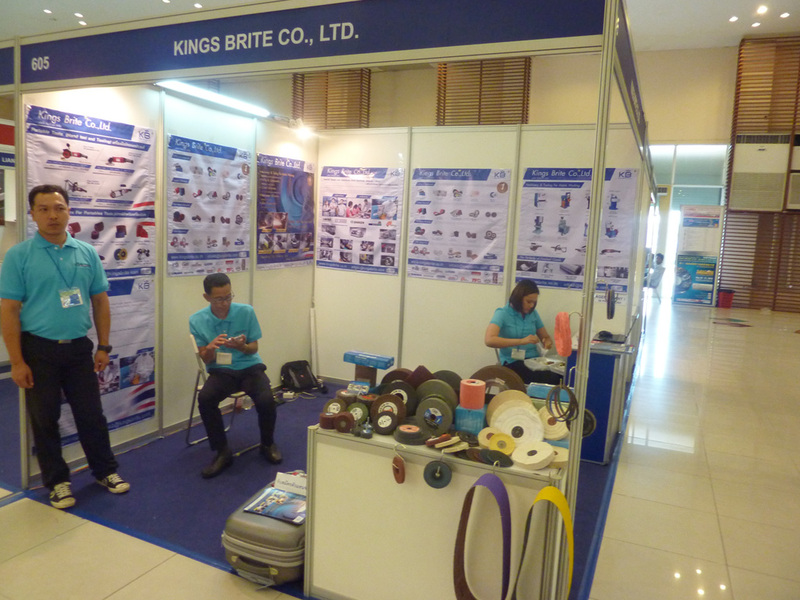 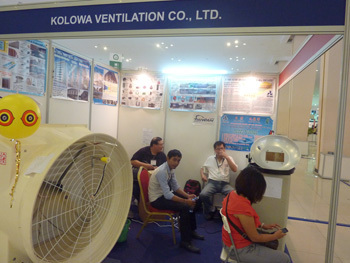 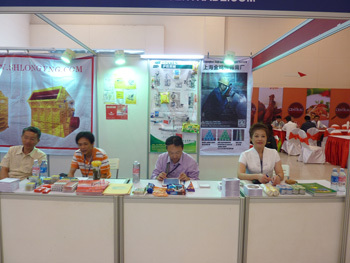 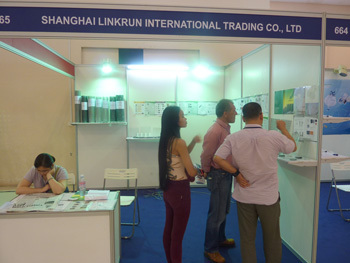 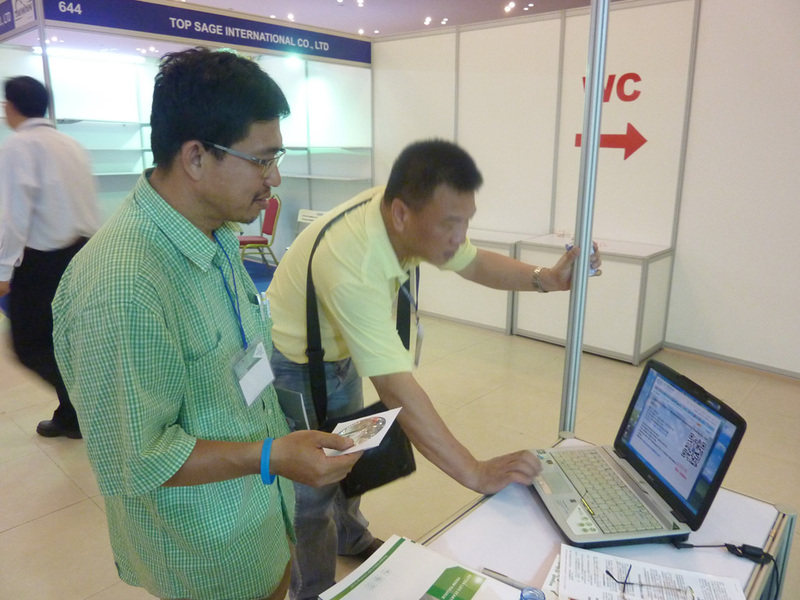 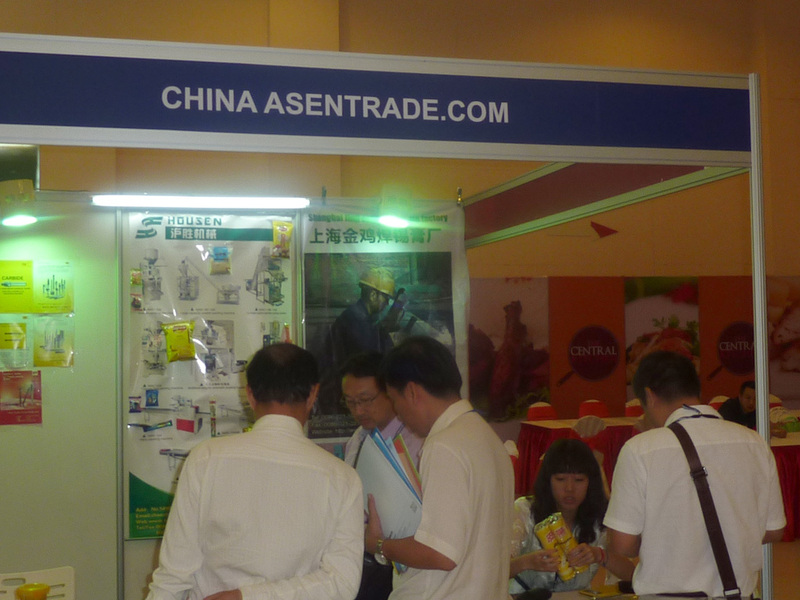 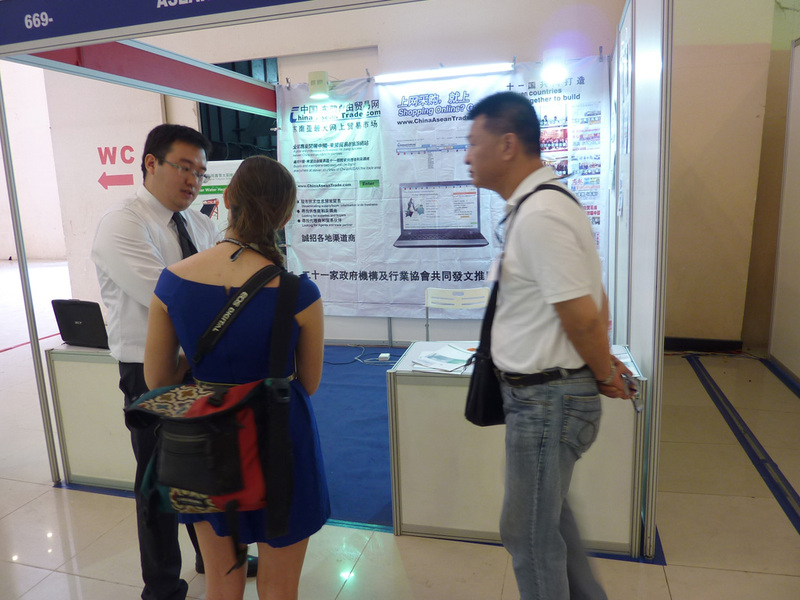 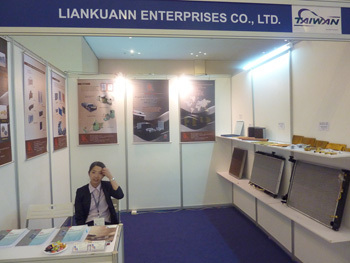 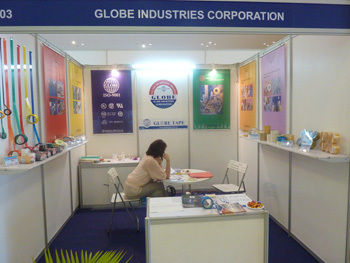 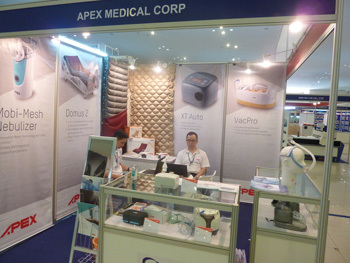 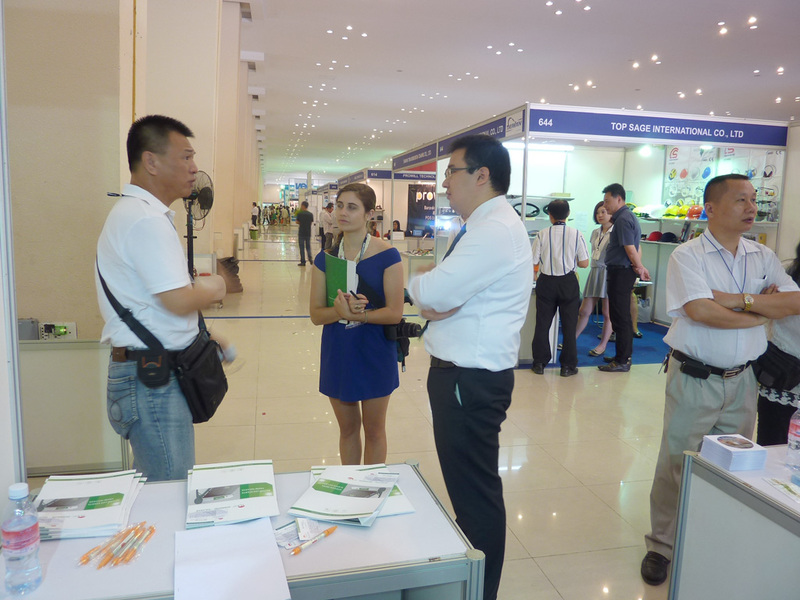 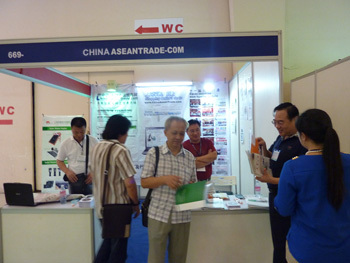 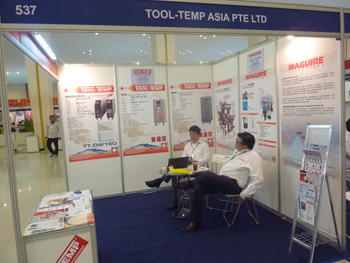 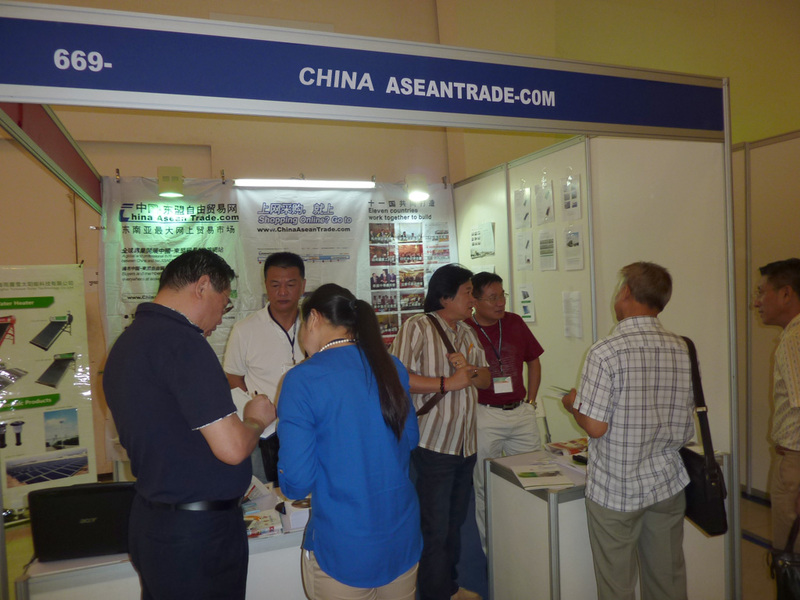 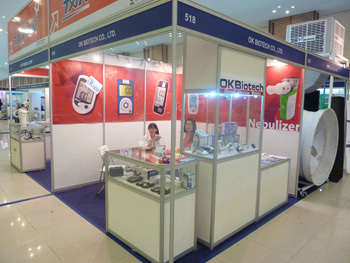 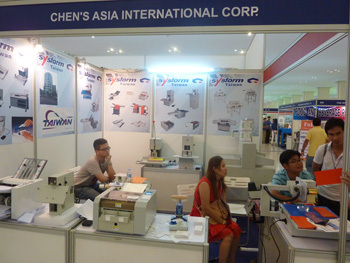 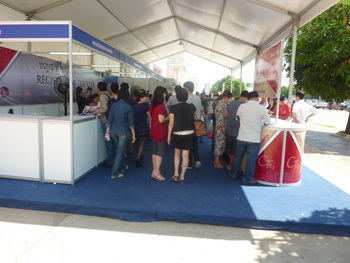 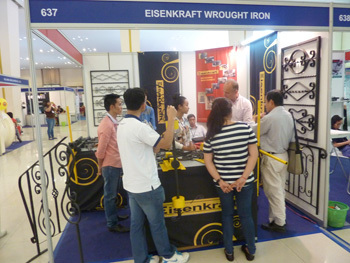 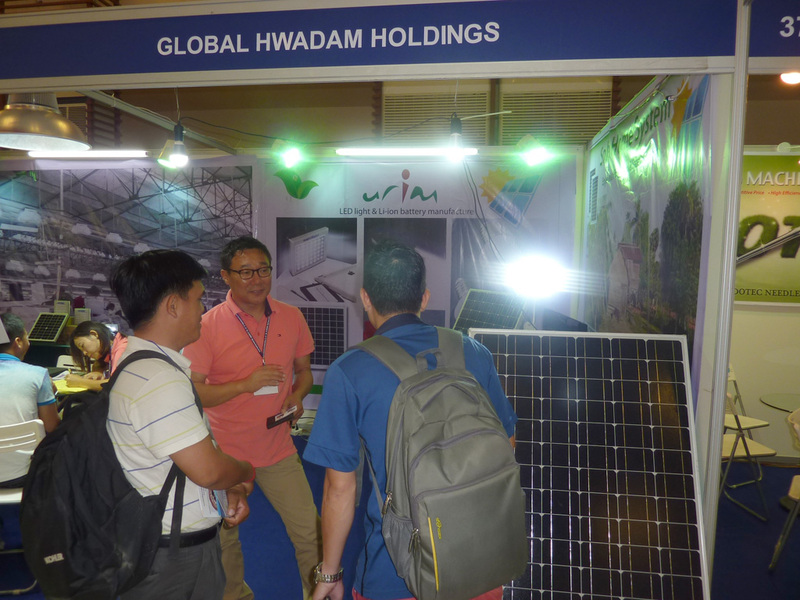 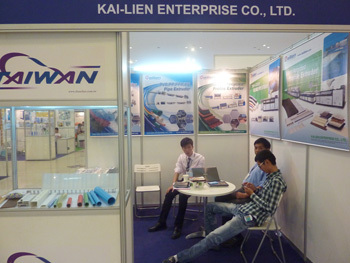 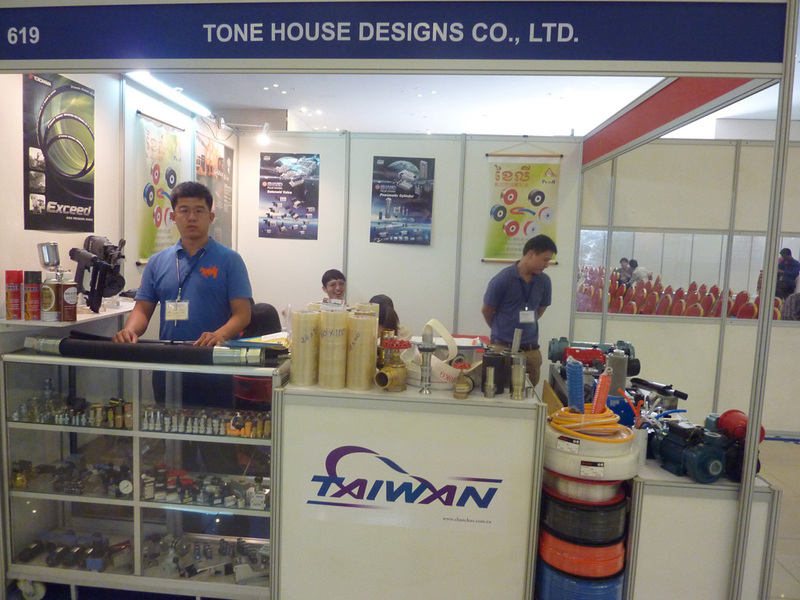 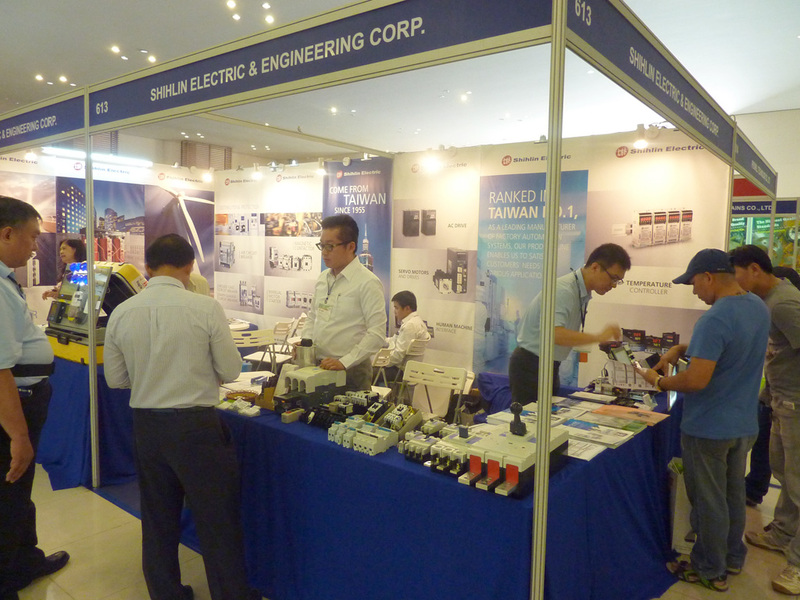 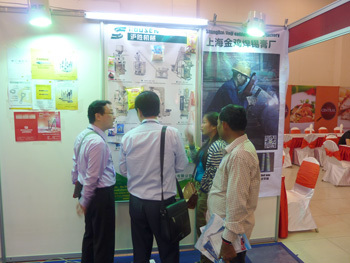 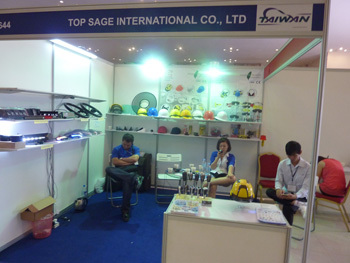 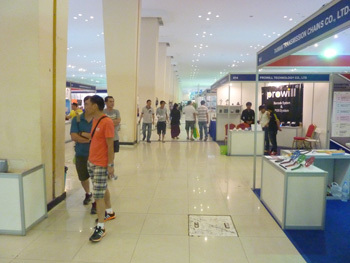 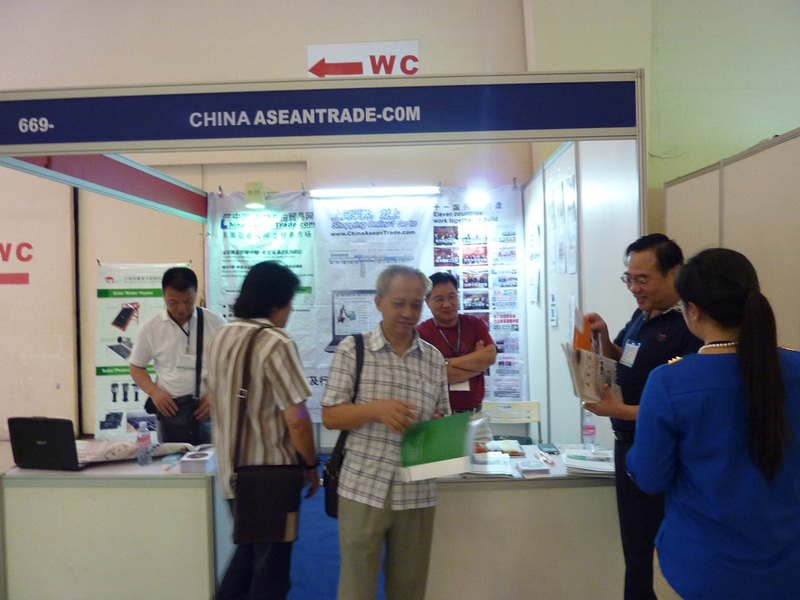 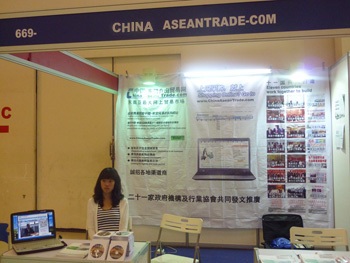 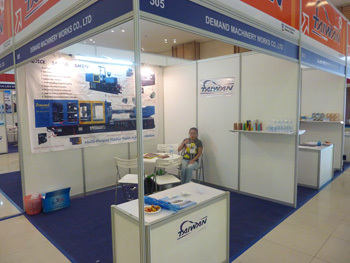 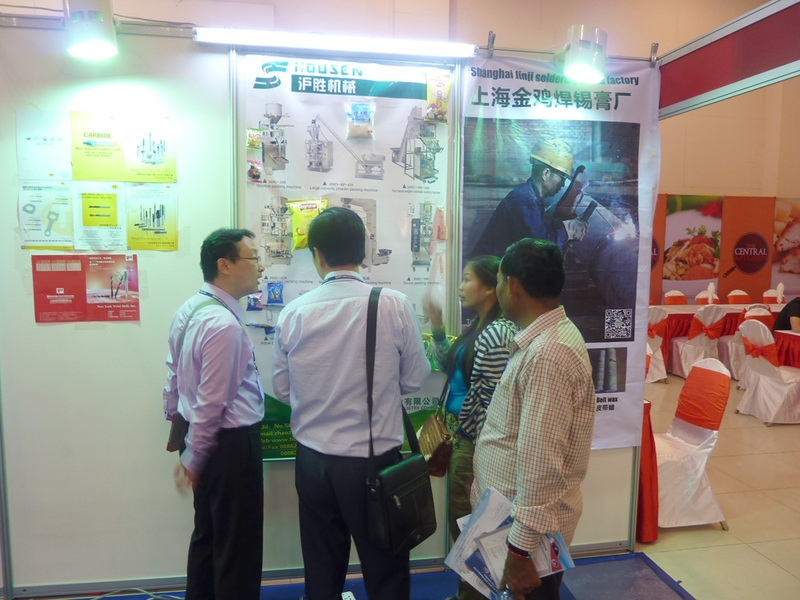 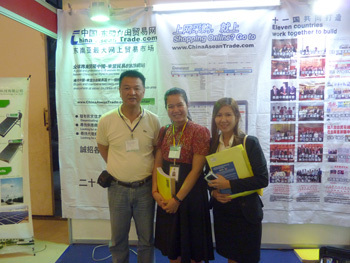 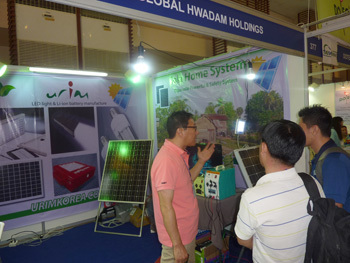 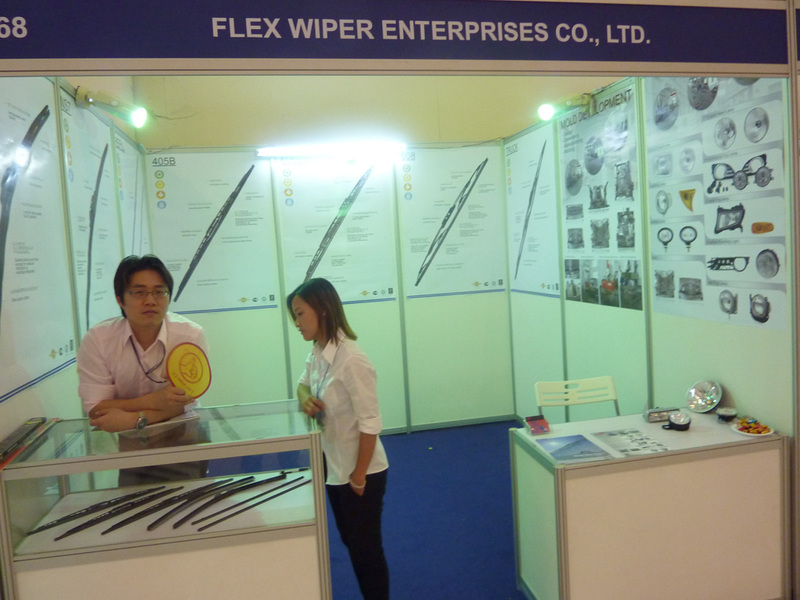 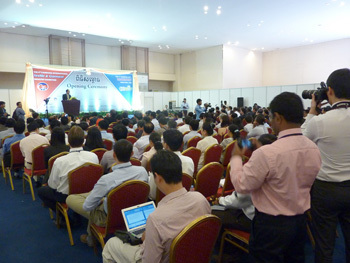 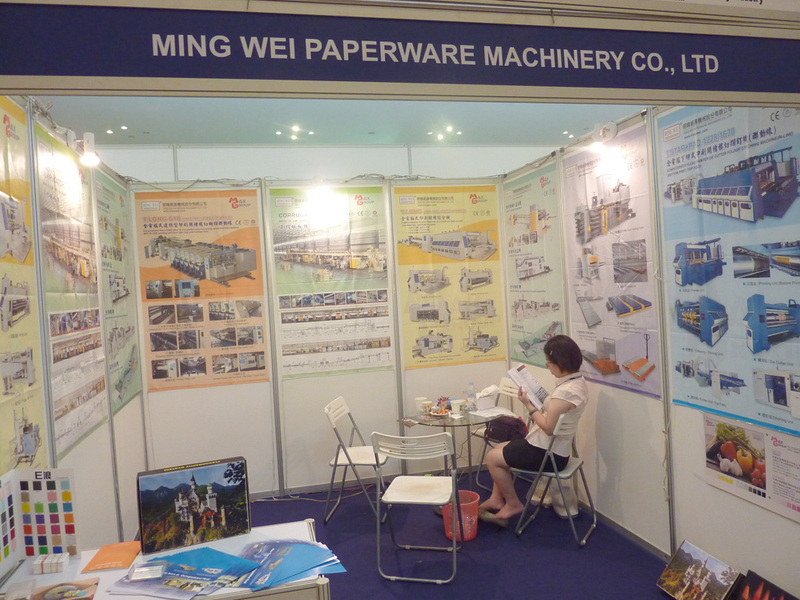 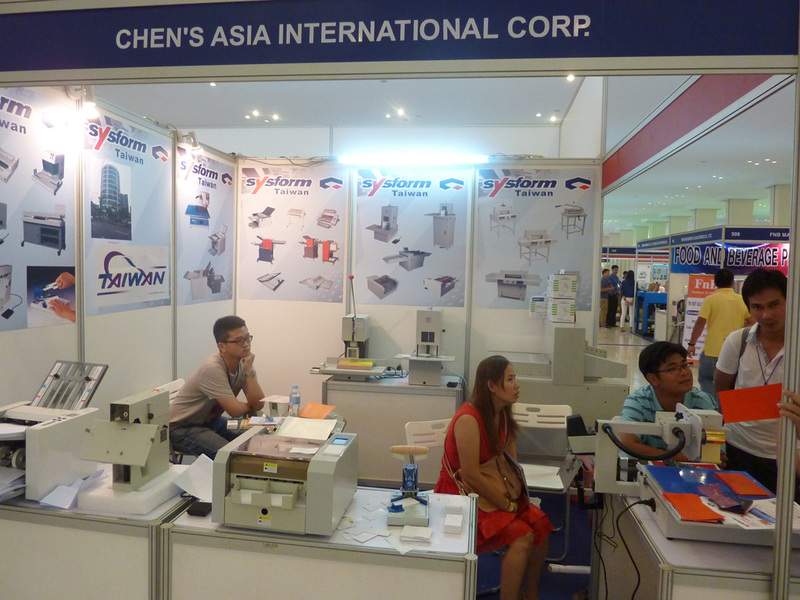 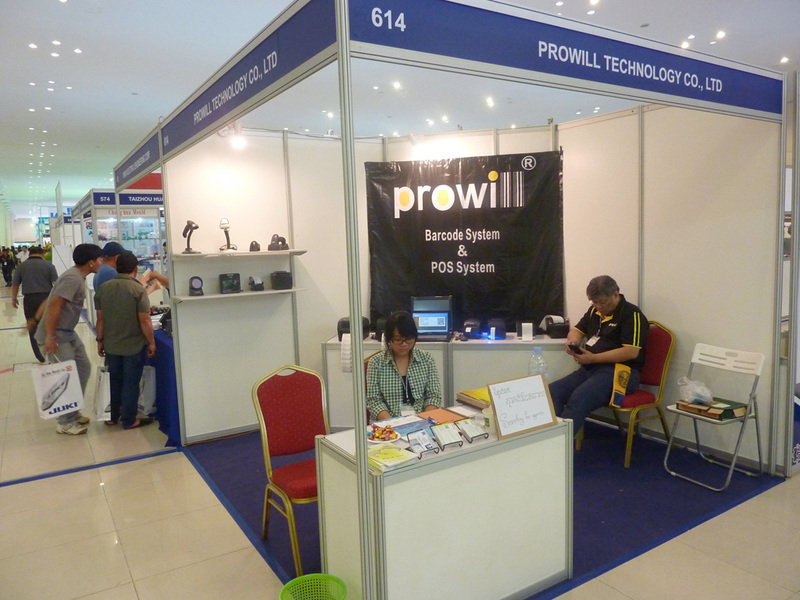 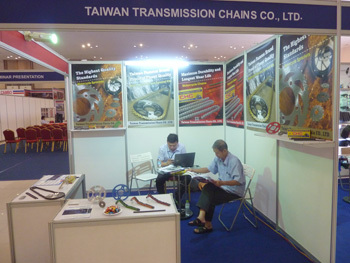 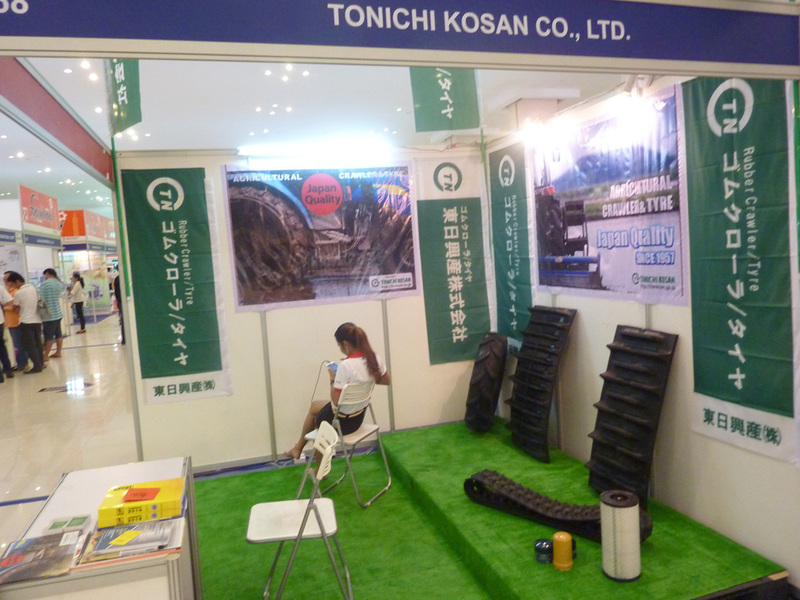 Cambodia-China Promotion of International Trade brings another buyers to our stand. 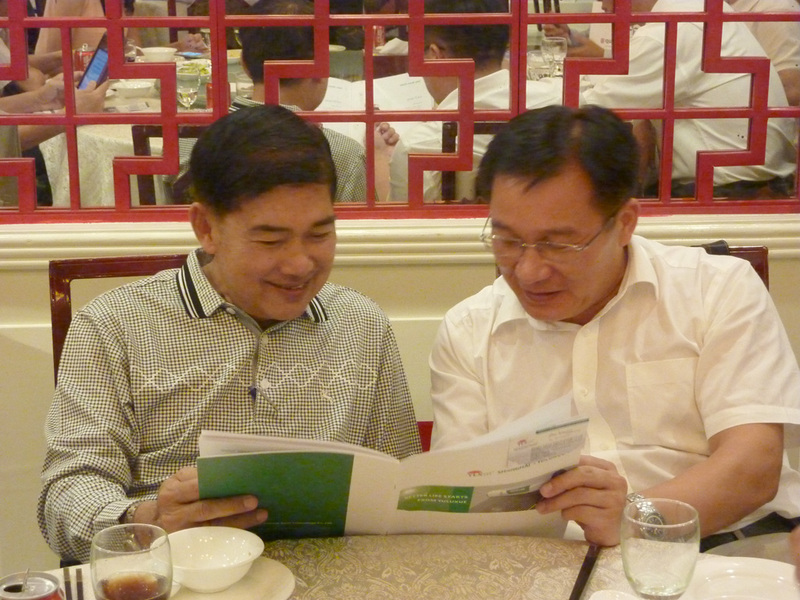 Mr Huang, the president of Cambodia-Shanghai Chamber of Commerce, is the general agent of XCMG and Shenggong. 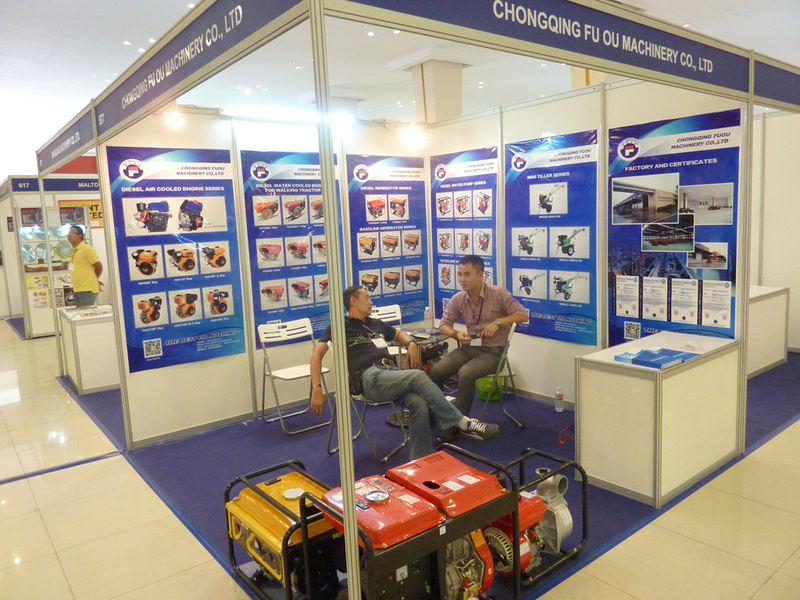 He came to the stand of to ask for agent of mining machinery. 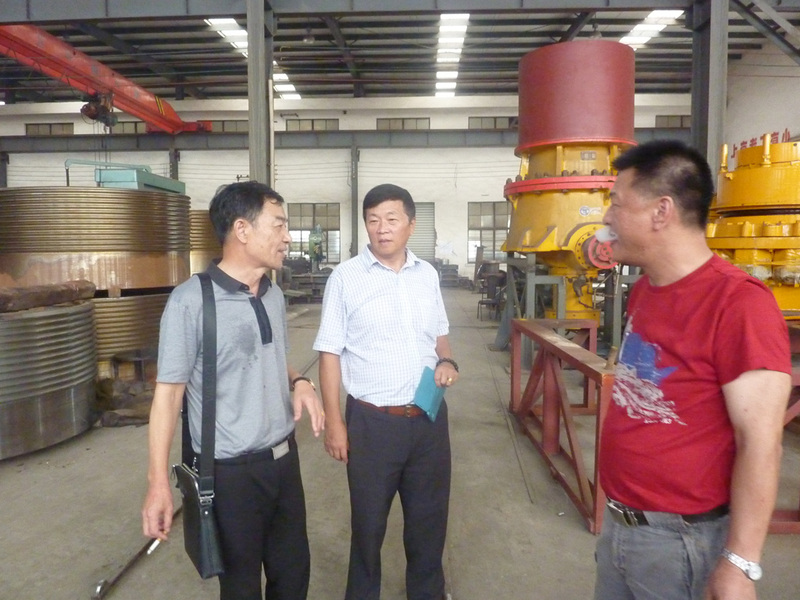 Mr.Xu led President Wang to purchase in LongYang Mchinery Plant. 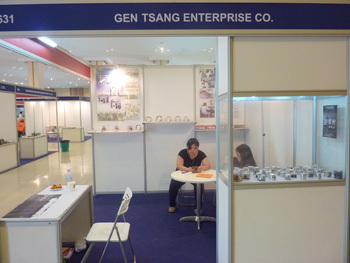 Making enterprise's CD,represent the enterprise to the exhibition. 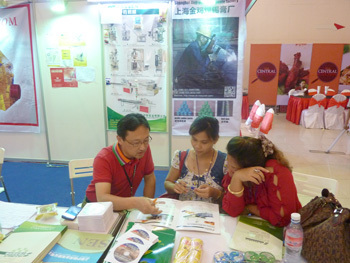 Buyers want products in CD,Mr.Xu is helping him contact with the domestic plants. The reception service sent CDs(the China supplier) to buyers according to the filling sheets. 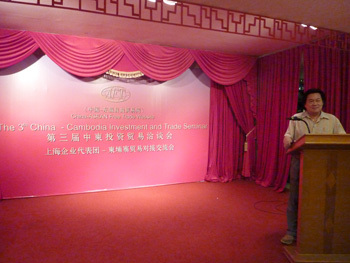 2014.8 visiting Cambodia-China Promotion of International Trade and the holding of "Supply and demand meeting"
Mr.Zhao,President of Cambodia-China Promotion of International Trade is introducing the needs of Cambodian markets. 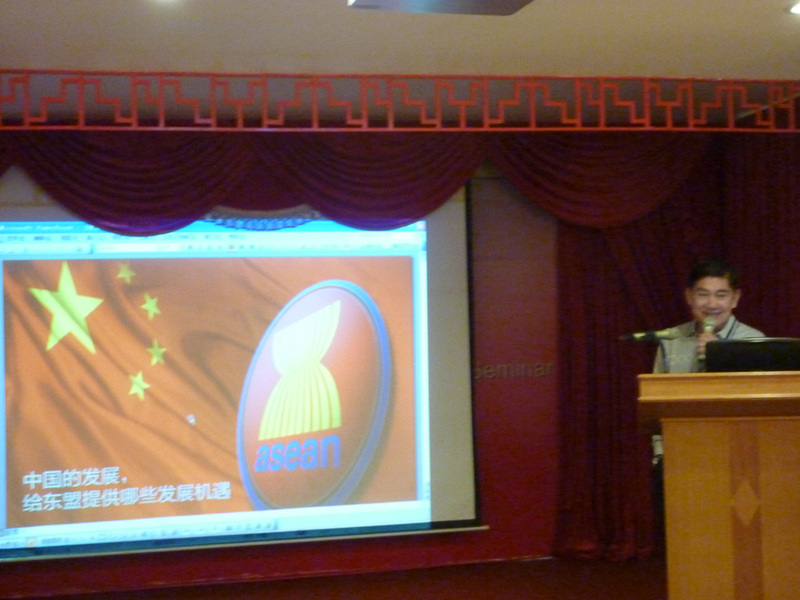 Mr.Xu, general manager of China-Asean free trade website is introducing the website's influence in Cambodia and members of the delegation. 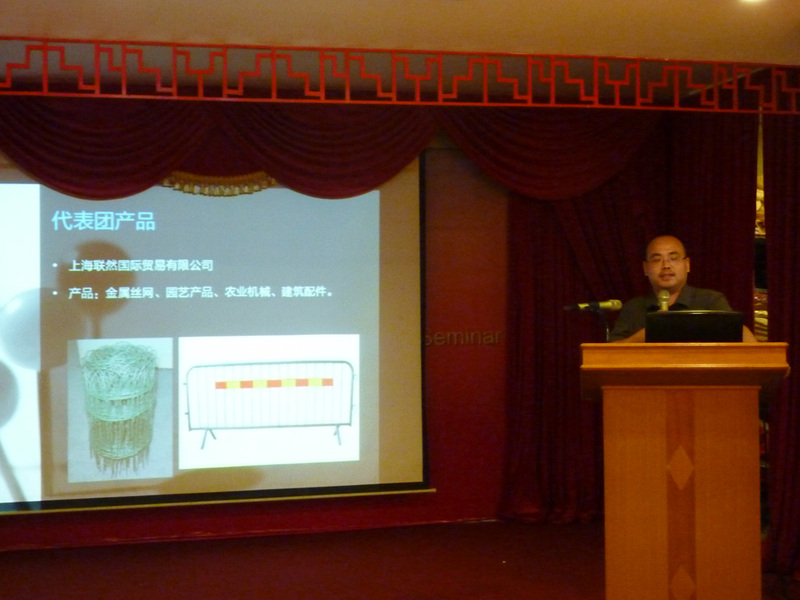 Mr.Zhu of Shanghai YuLuXue solar energy ,who came with us for thirteen times is introducing the products. 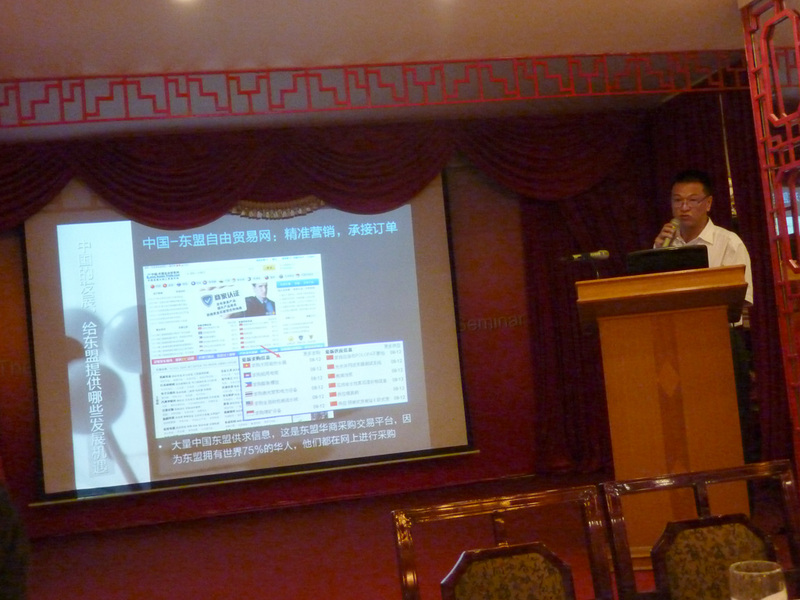 rs Zhao, the manager of Shanghai Shenghua Cable (Group) is introducing the products. 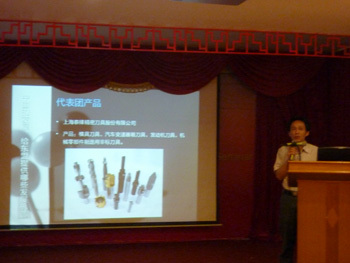 Mr.Sheng, the chairman of Shanghai Taifeng hardware tools is introducing the company. 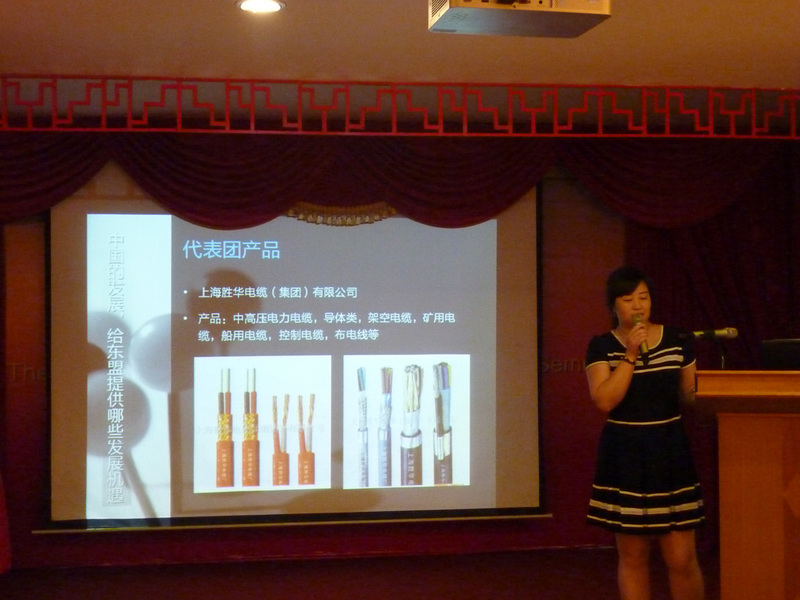 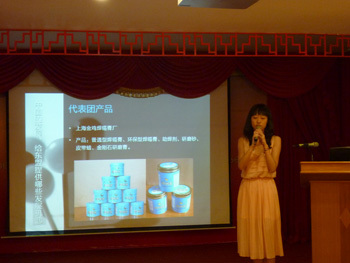 Miss.Hu from Shanghai Jinji soldering paste factory is introducing the company. 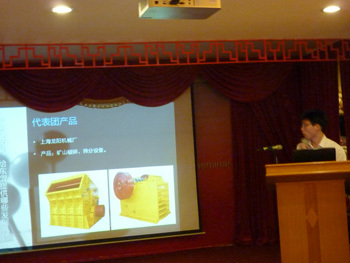 President Wu wants to purchase the products in Shnghai WeiLi, therefore he introduced more than 10 distributors to it. 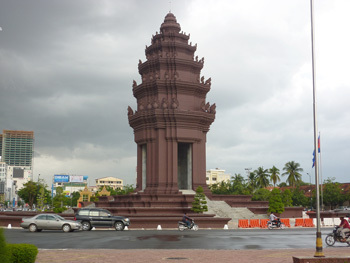 Cambodia is the modified base of second hand cars, the well-known second hand car entered into Cambodia with zero-tariff, and then sell to other countries after the renovation. 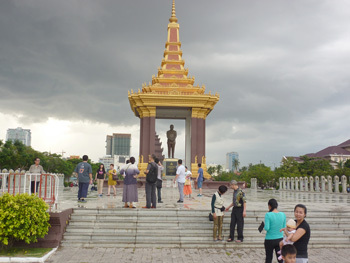 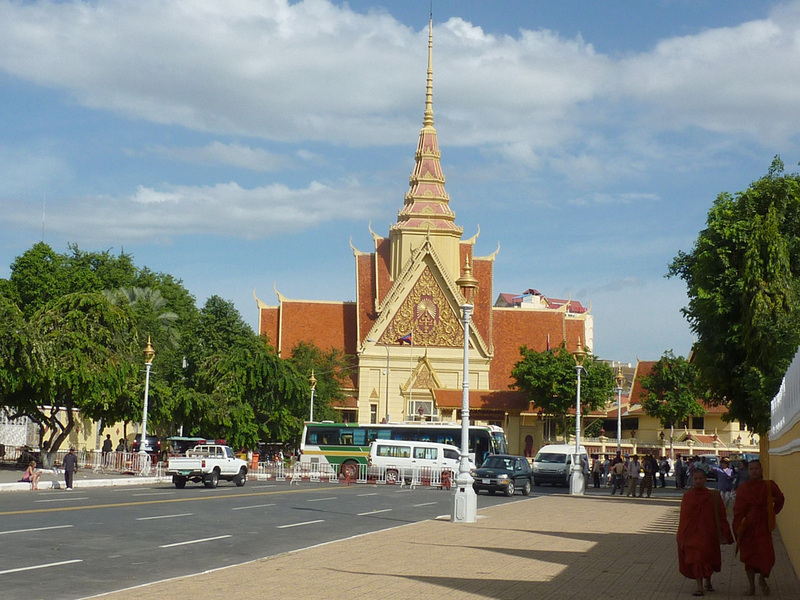 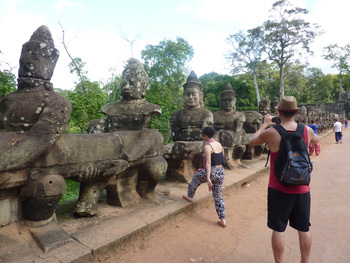 Cambodia is the procesing base producing textile, garment, footwear, electronics, agricultural products,and is also the tourist destination, with high demand of packing machinery, food machinery,printing and plastic machinery. 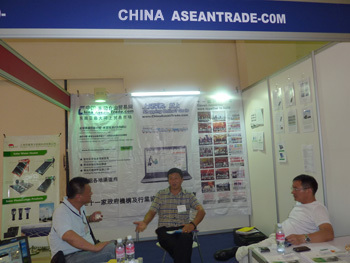 Mr.Mao, Chairman of the JianRongDa Group is the chinese enterprise in Cambodia, said "Although a large amount of capital is pouring forward,the Cambodia government only believe China, all the building construction is made by China". 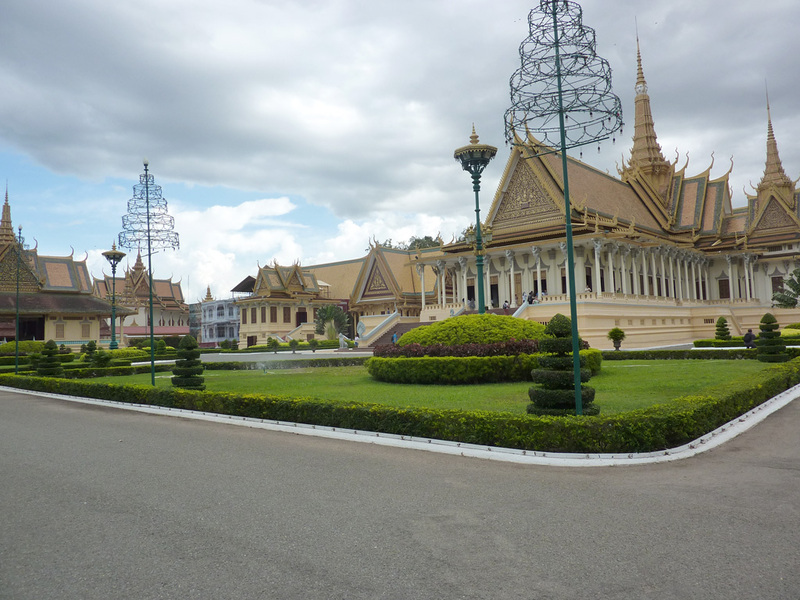 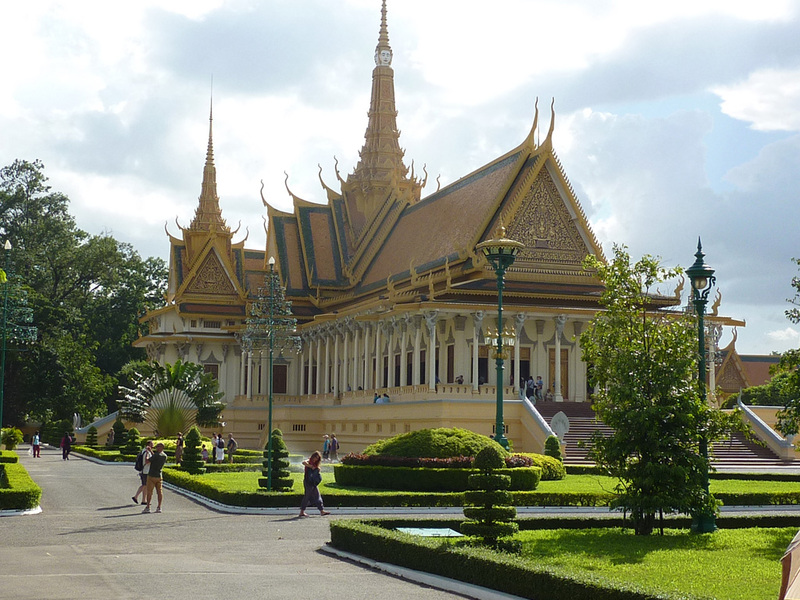 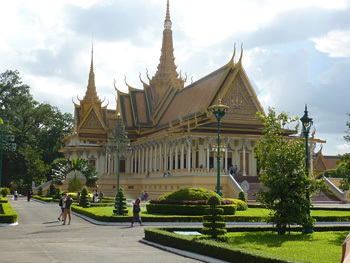 Cambodia's mainstream roported deeply and spoke highly of . 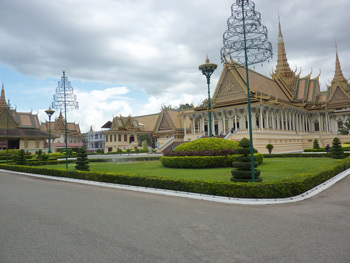 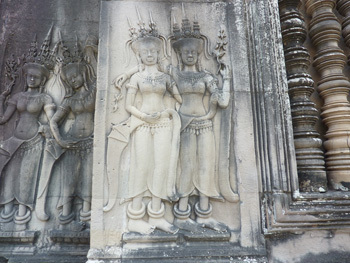 The small and large palace. 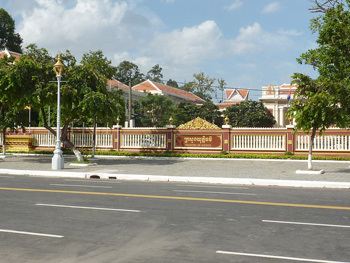 The declared Hall of the palace. 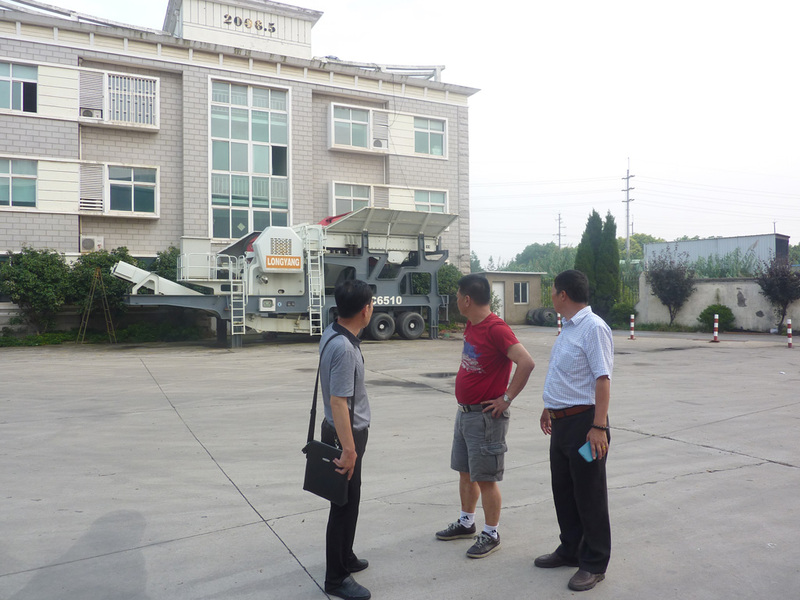 Mr.Huang was interested in mobile crusher car. 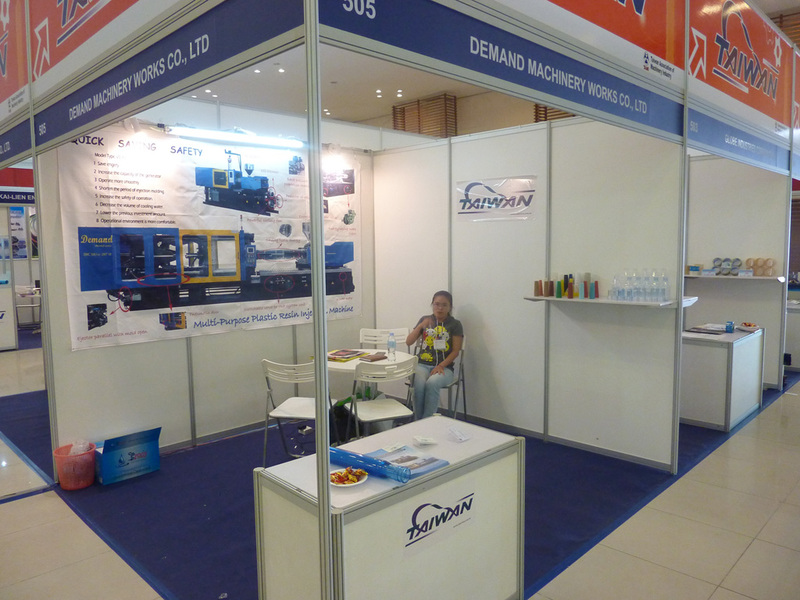 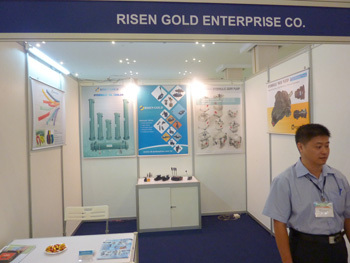 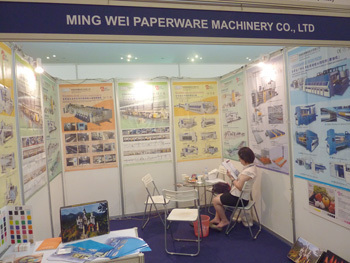 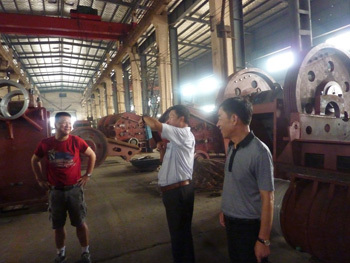 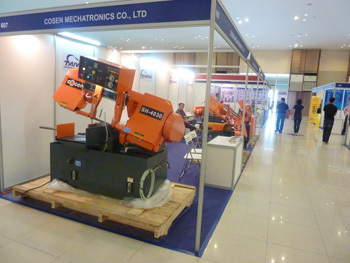 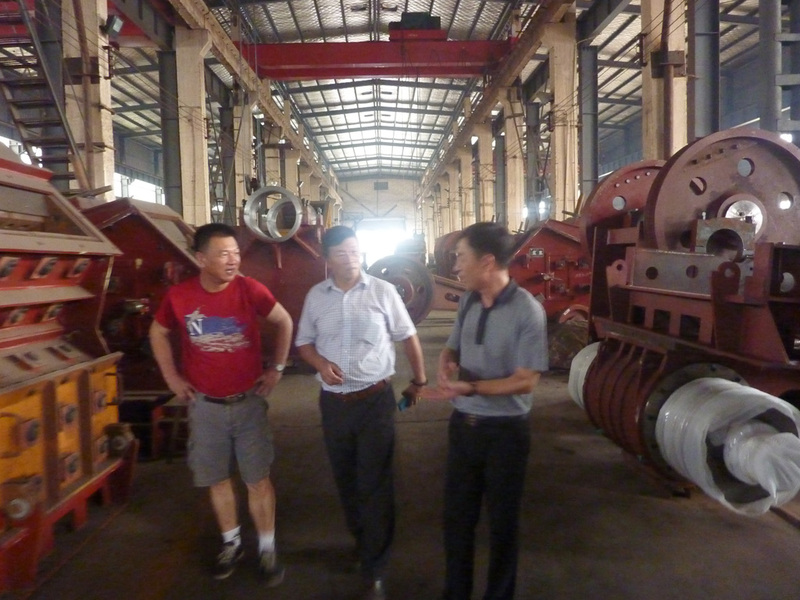 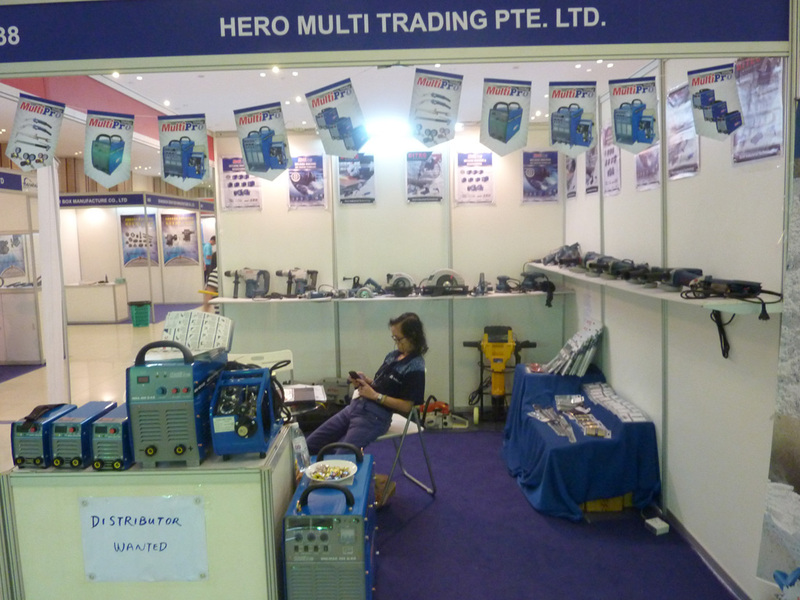 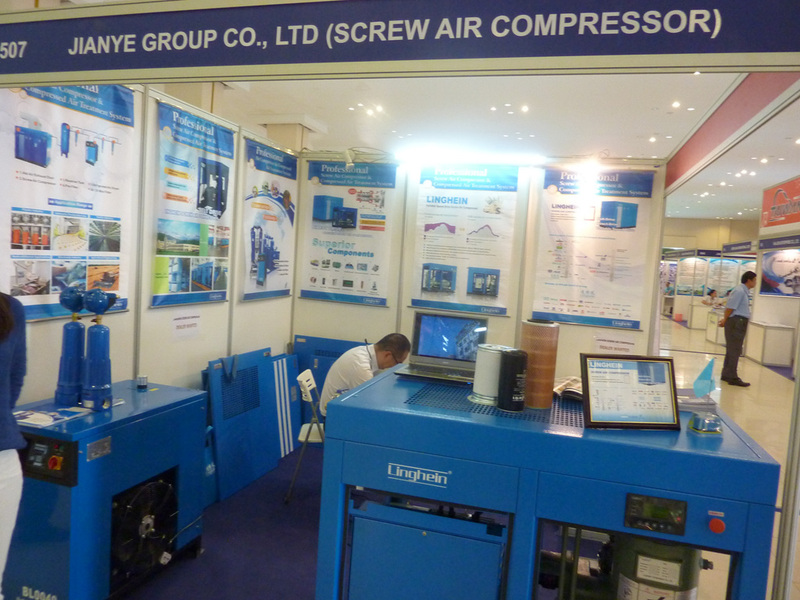 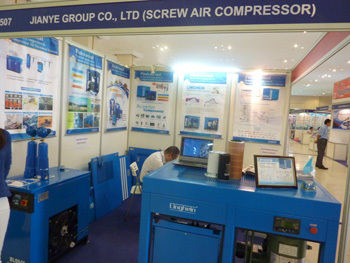 Visit the mining machinery equipments. 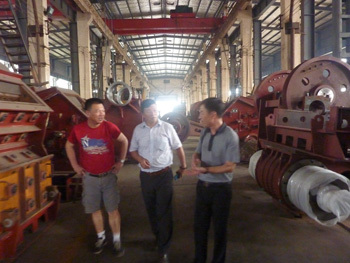 With the promotion of , Mr.Huang decided to agent for the Mining machinery of LongYang Machinery plant.